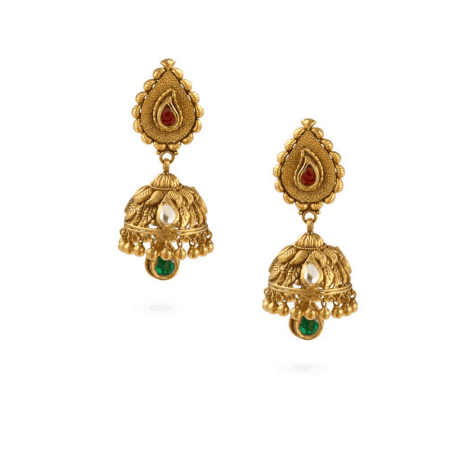 The tinkle of a jhumka, the charm of chandbali, or the subtle shimmer of a gold stud – women in India have always understood the magic of earrings. 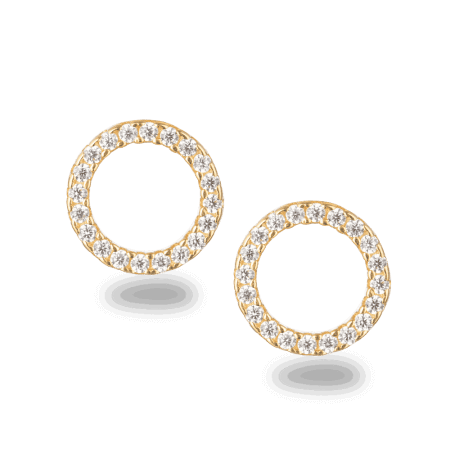 They draw attention to your smile and glow against the skin, and many of us would never be seen without a pair! 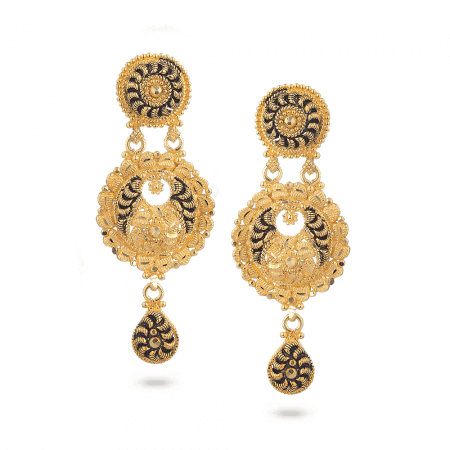 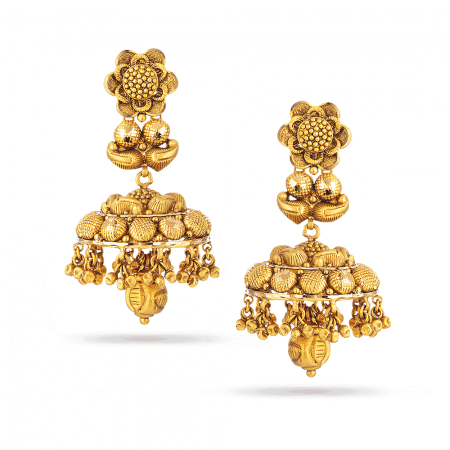 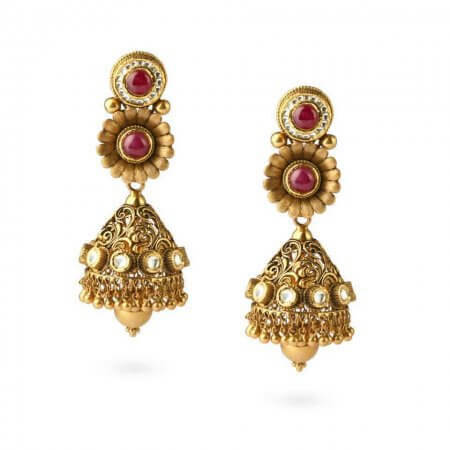 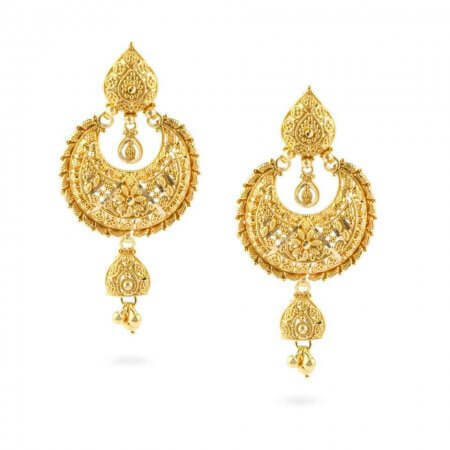 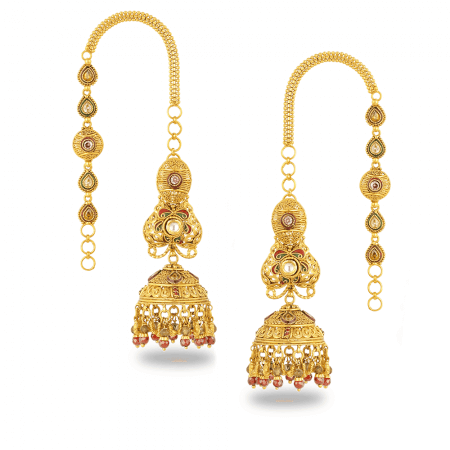 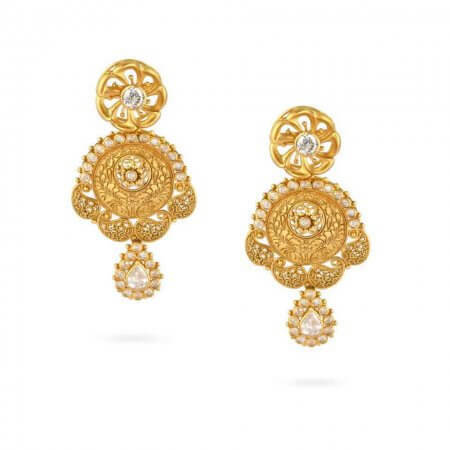 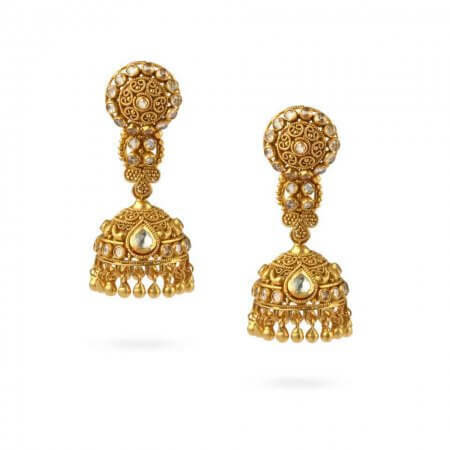 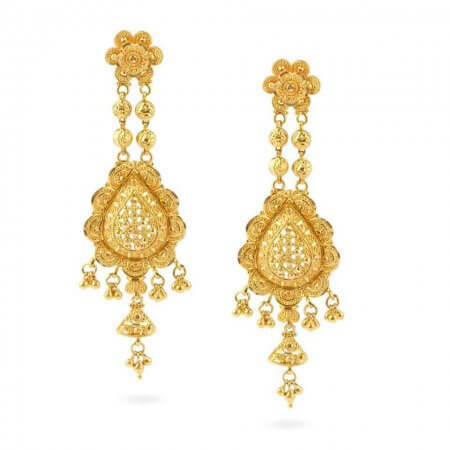 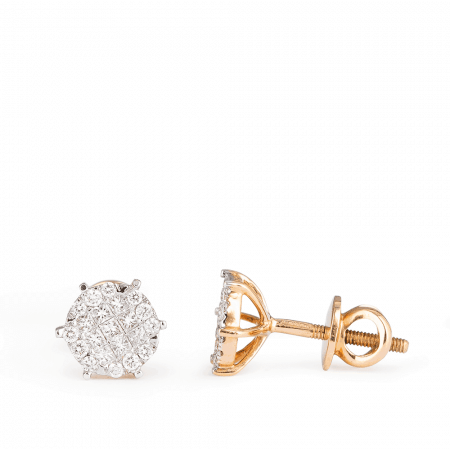 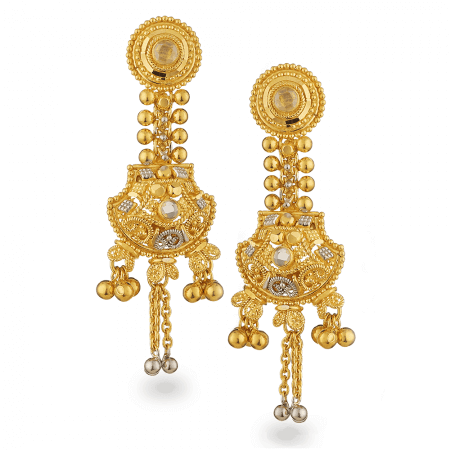 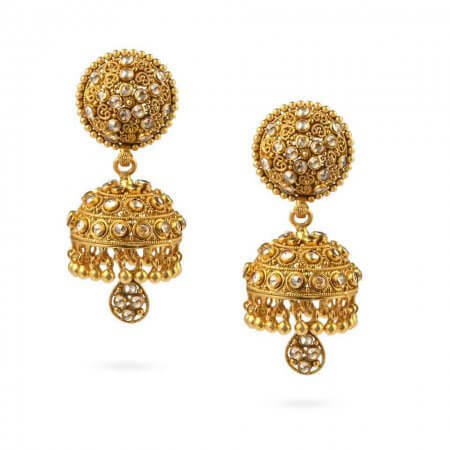 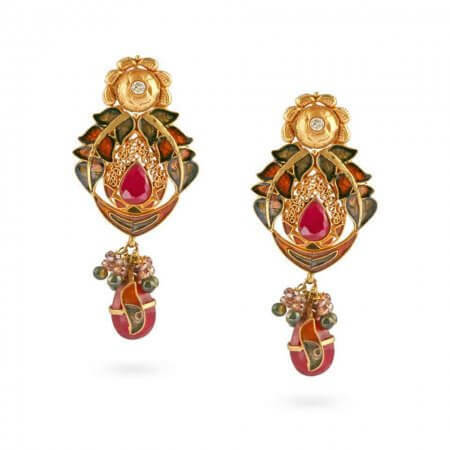 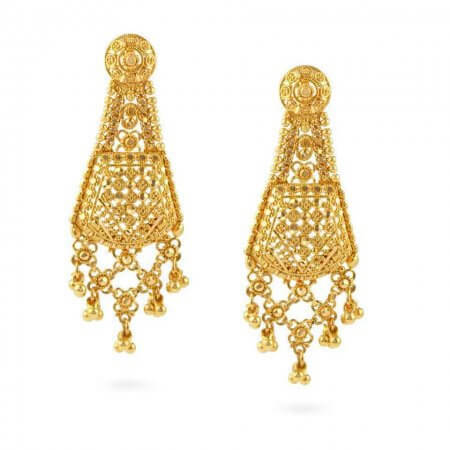 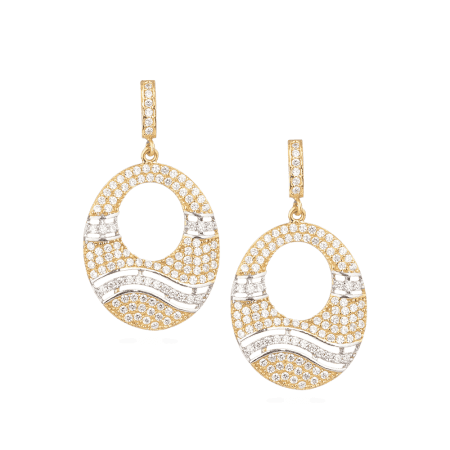 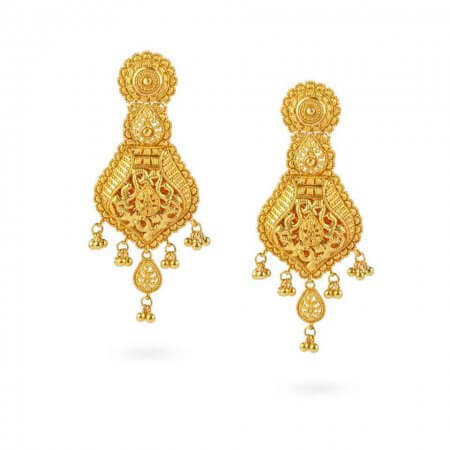 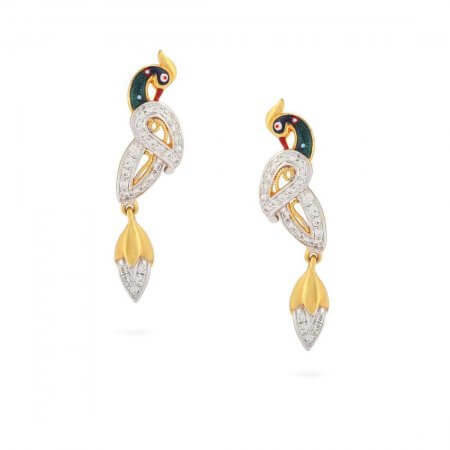 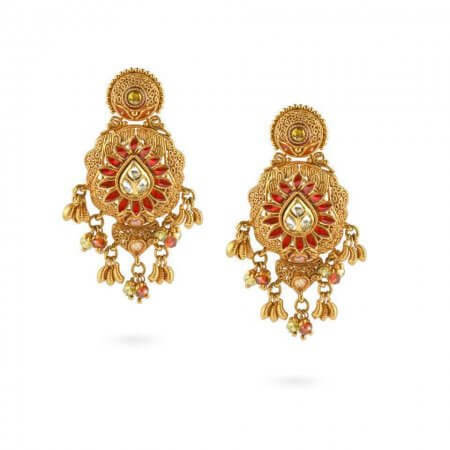 Which Indian gold earrings should you choose? 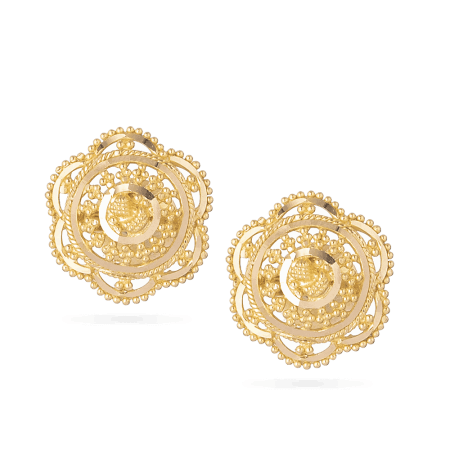 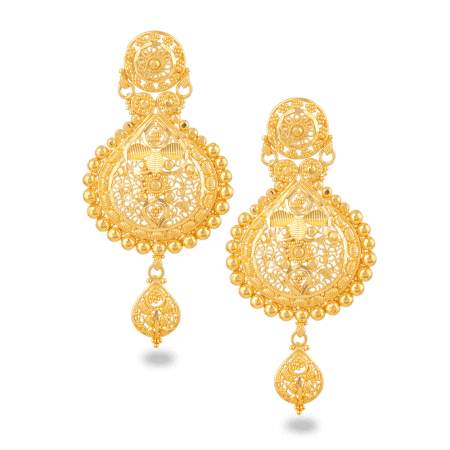 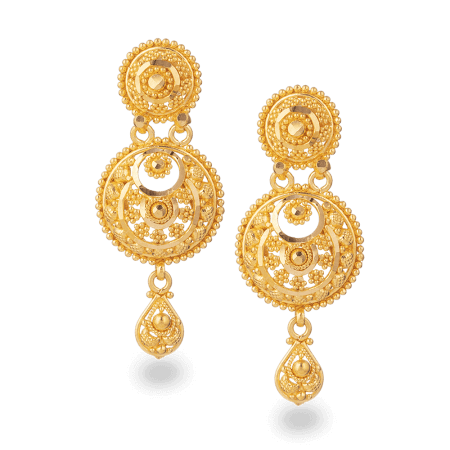 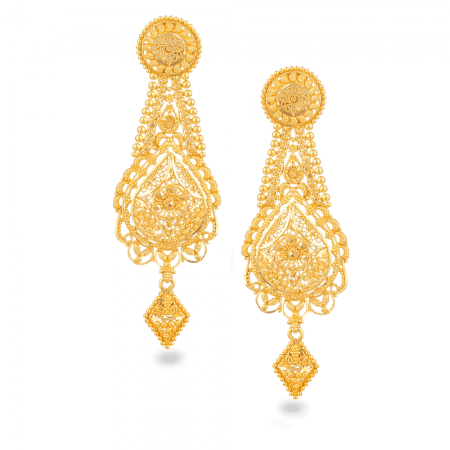 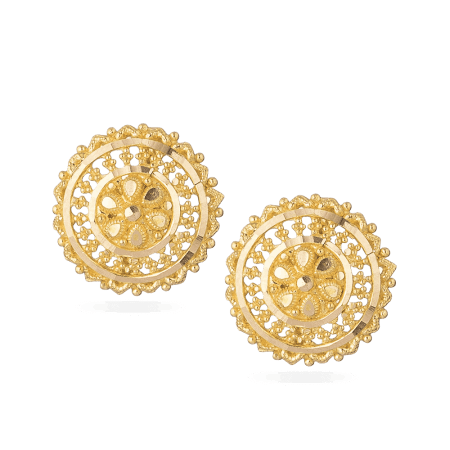 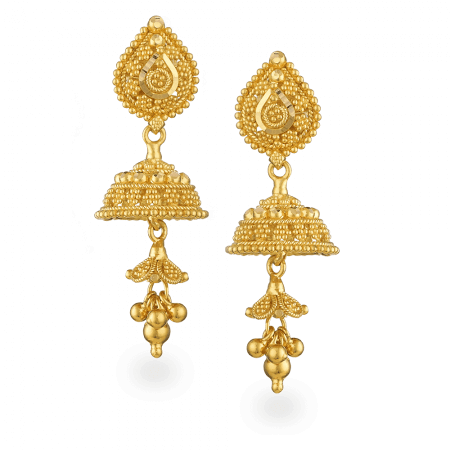 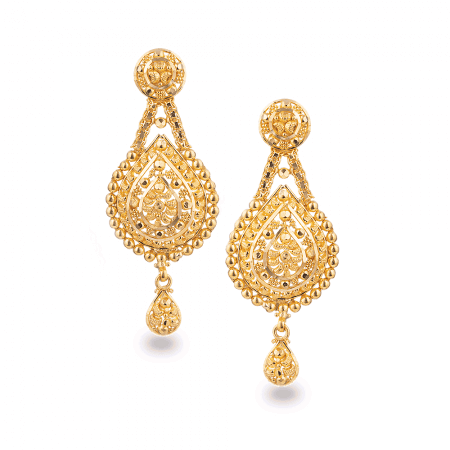 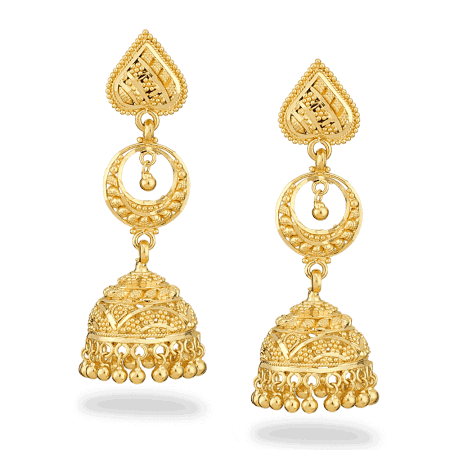 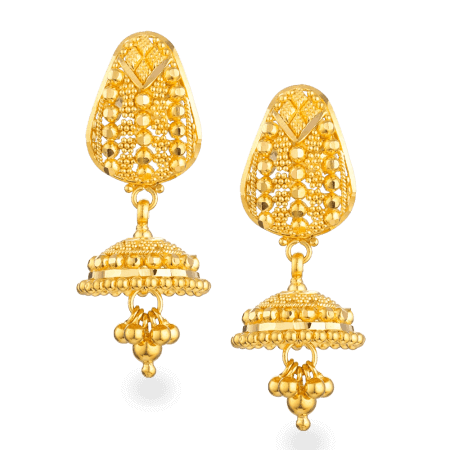 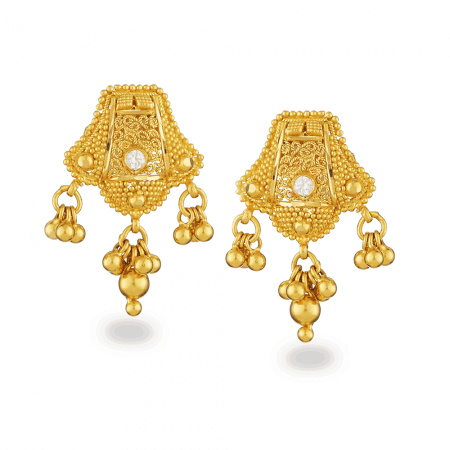 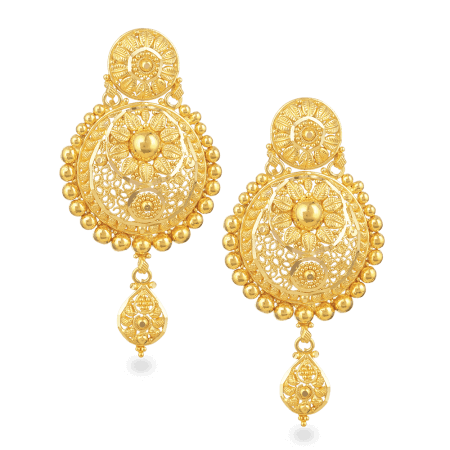 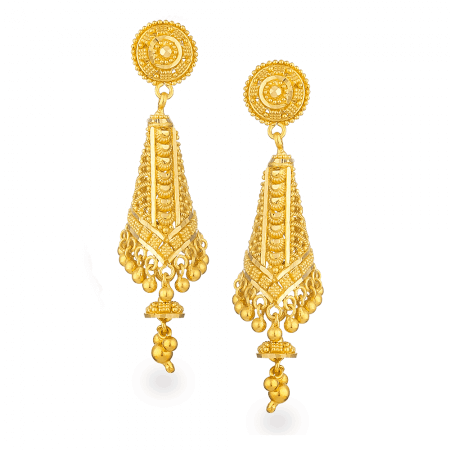 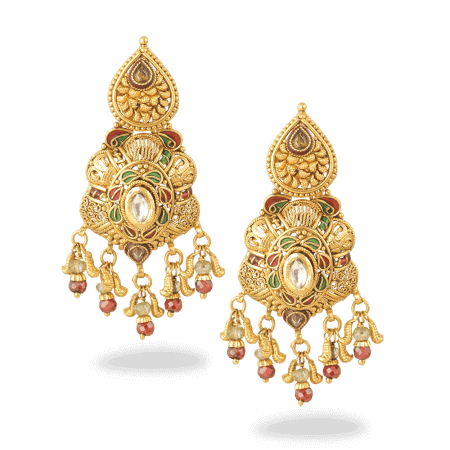 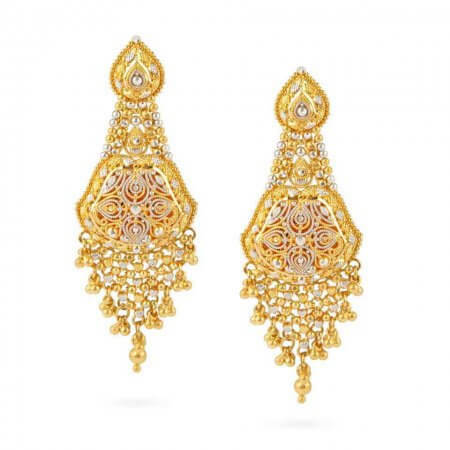 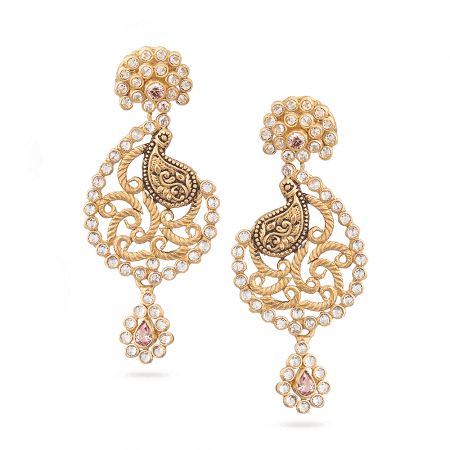 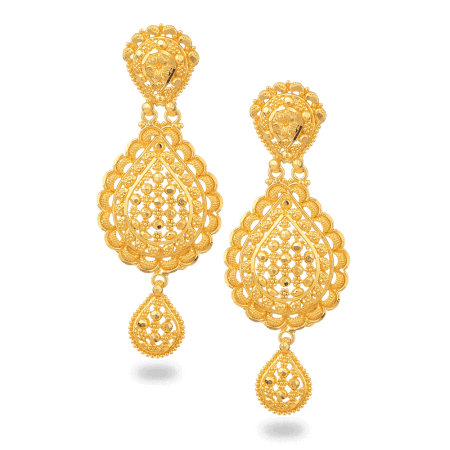 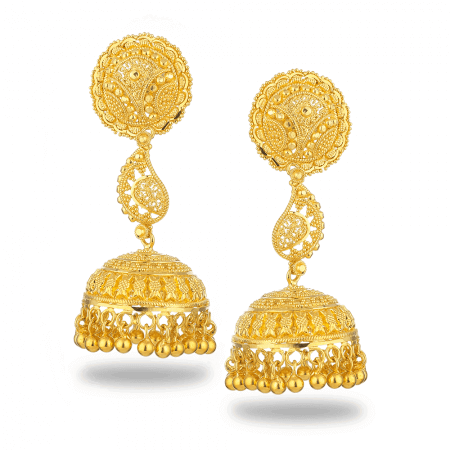 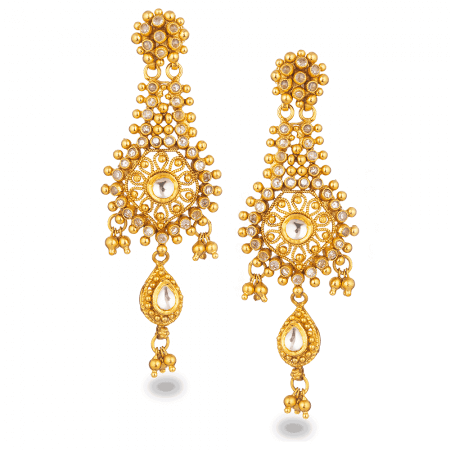 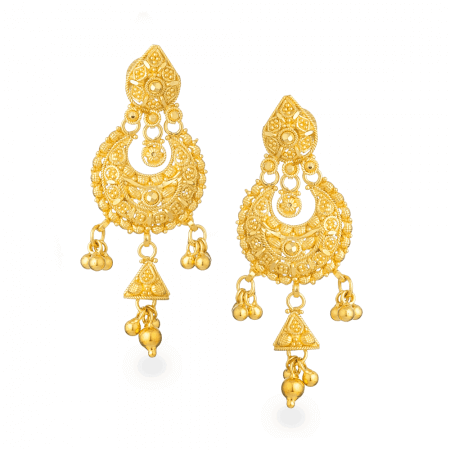 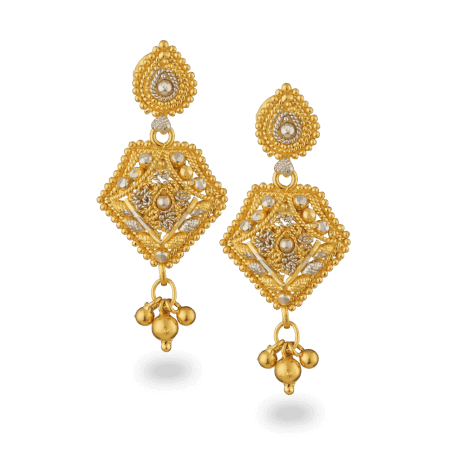 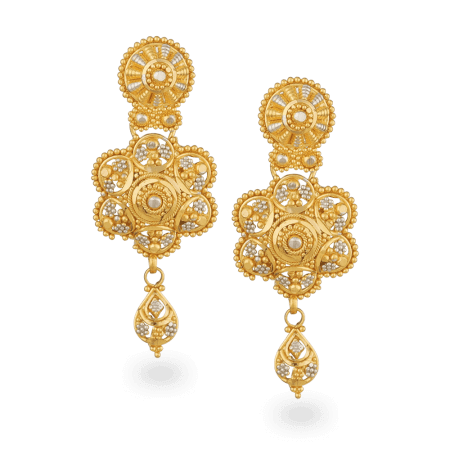 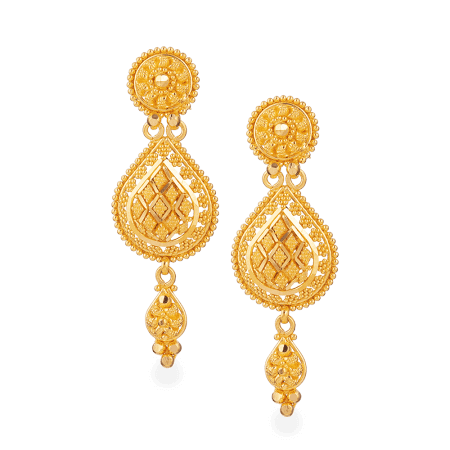 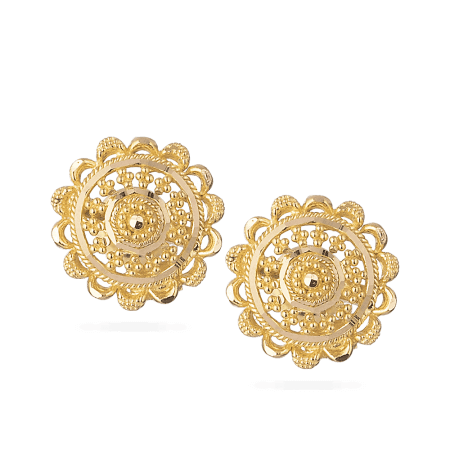 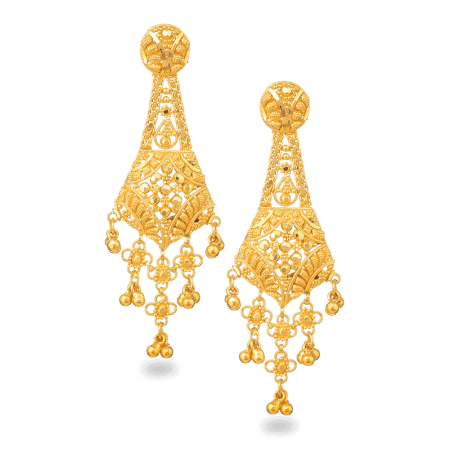 22ct Gold Bridal Earring in fine filigree design. 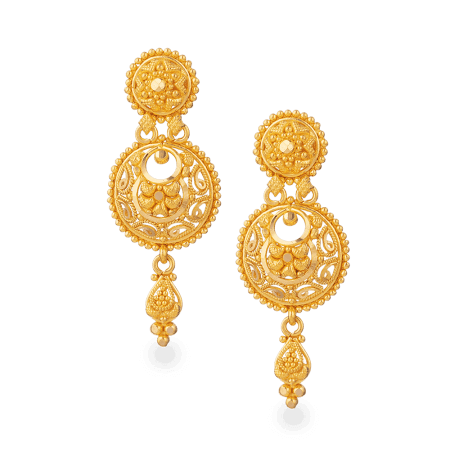 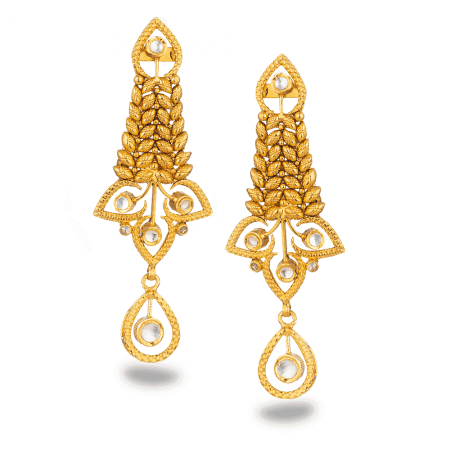 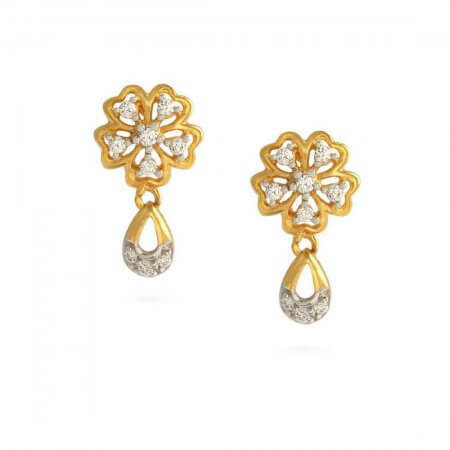 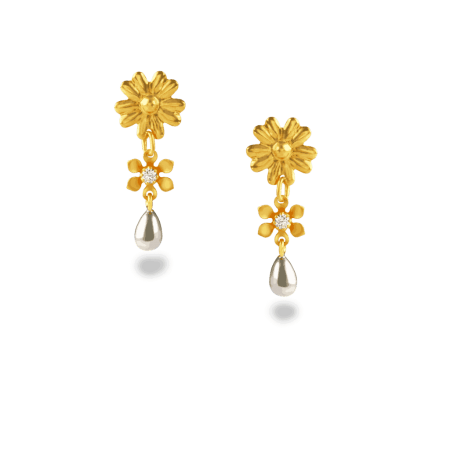 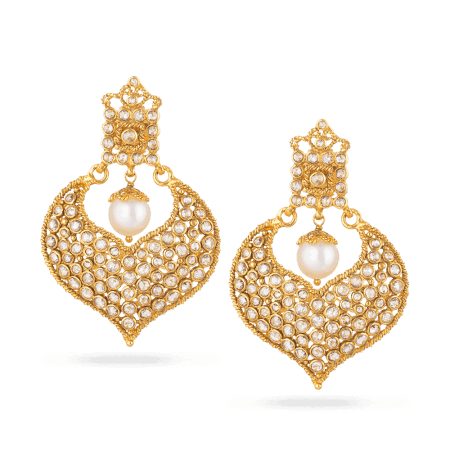 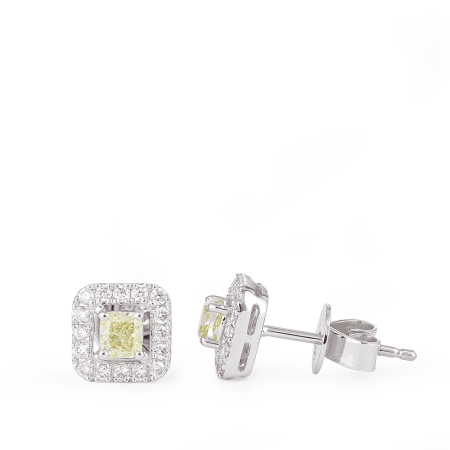 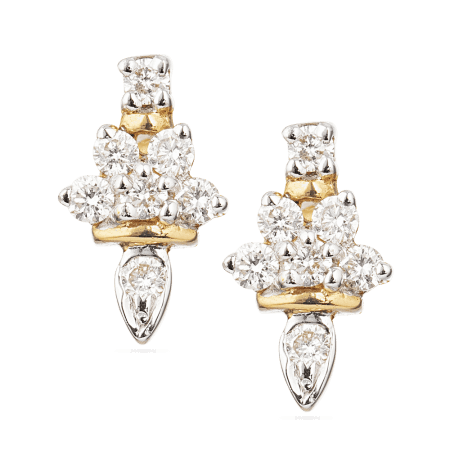 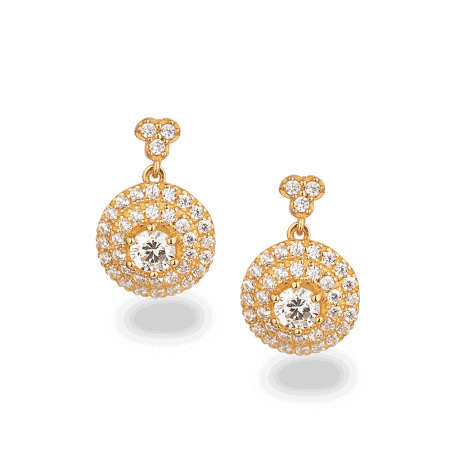 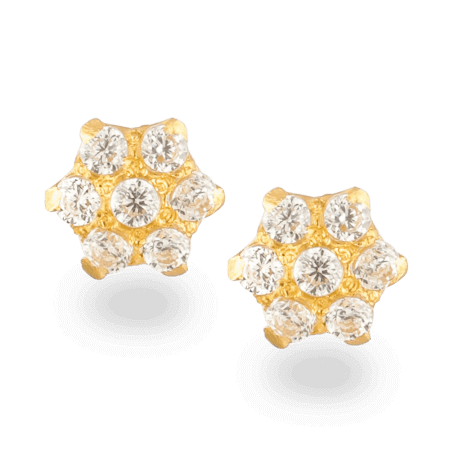 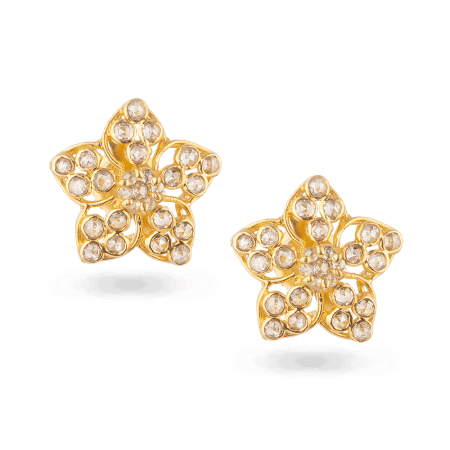 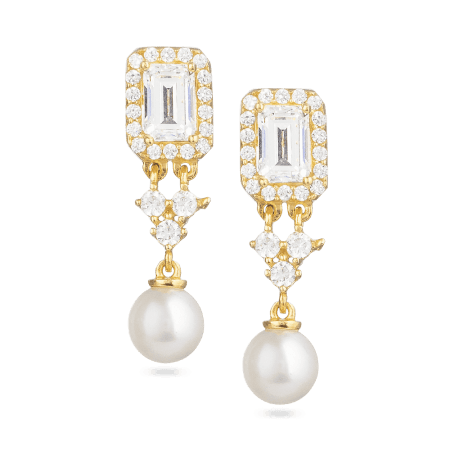 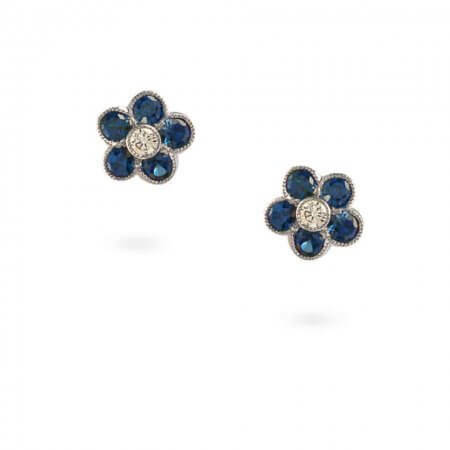 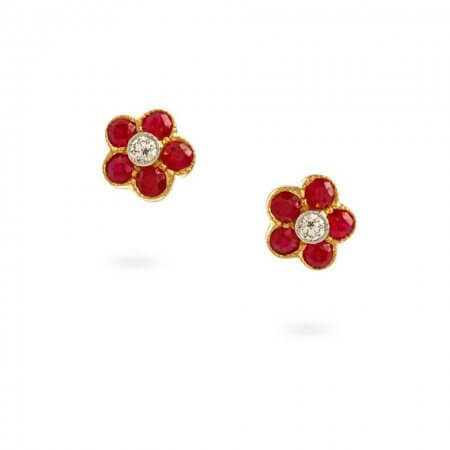 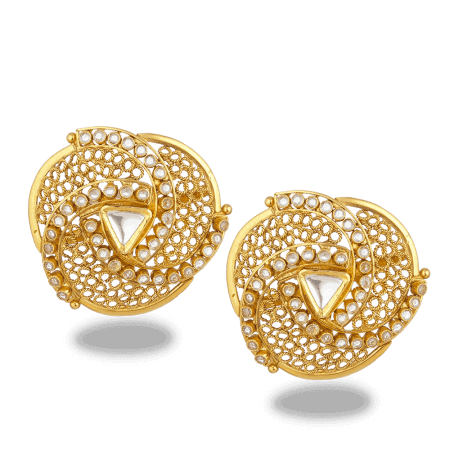 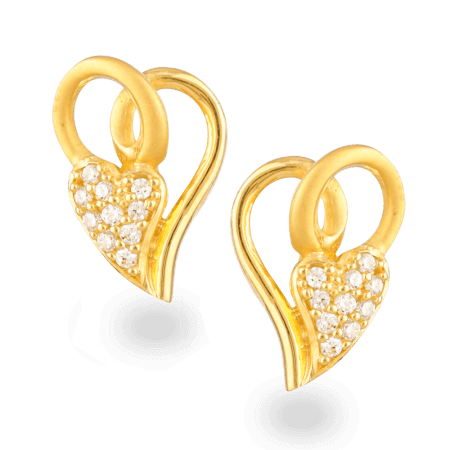 PureJewels is a specialist in classical and modern Indian jewellery. 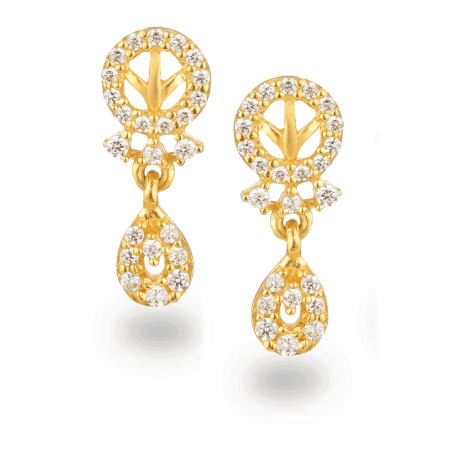 In the 1970s, our Indian founder Bhanji Gokaldas landed in London. 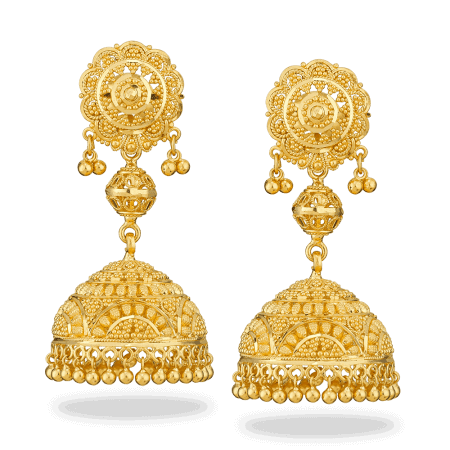 He brought a wealth of Indian design technique and history with him – Bhanji had been a skilled jewellery-maker for many years. 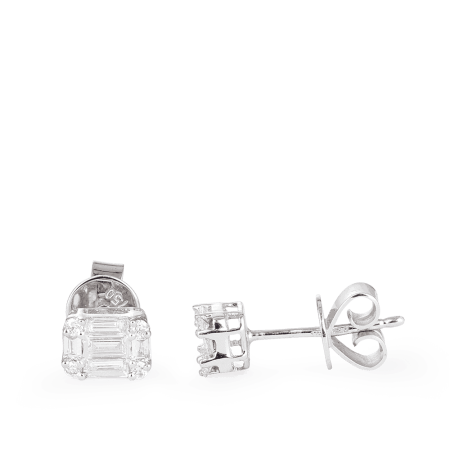 It’s something we are determined to preserve. 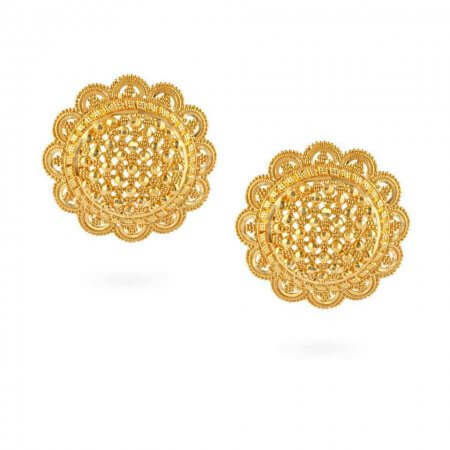 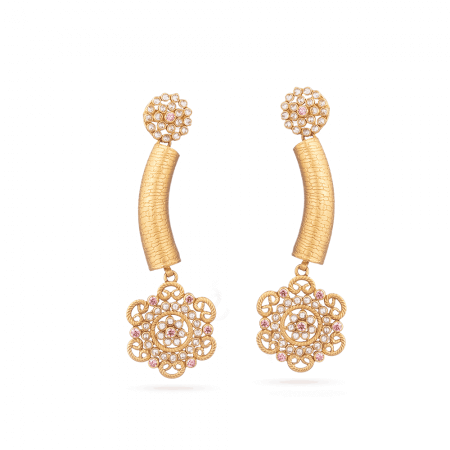 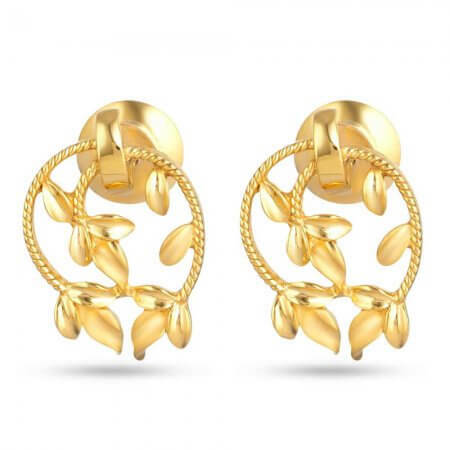 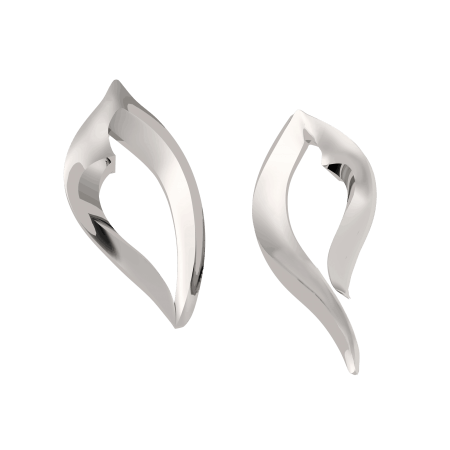 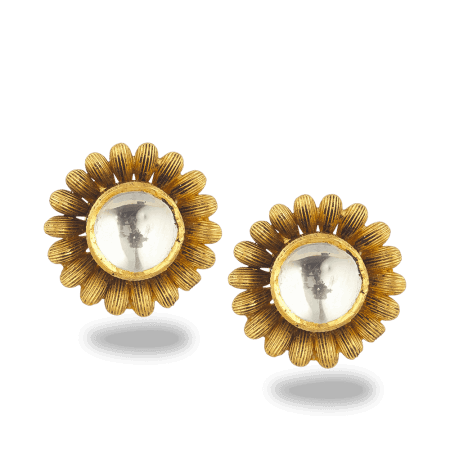 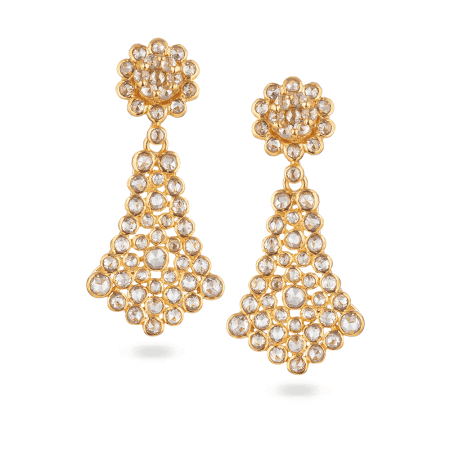 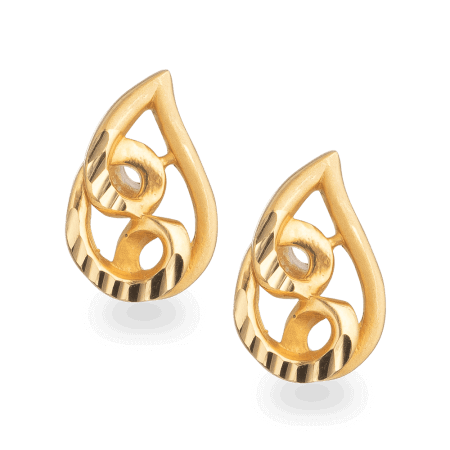 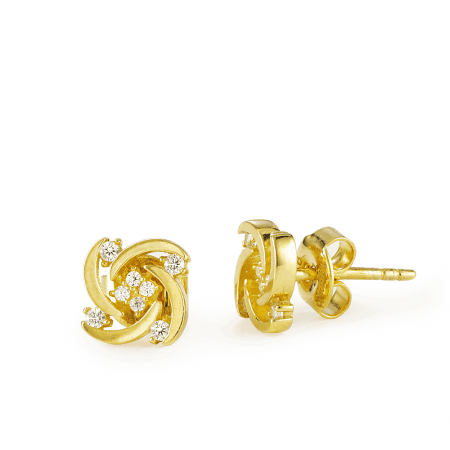 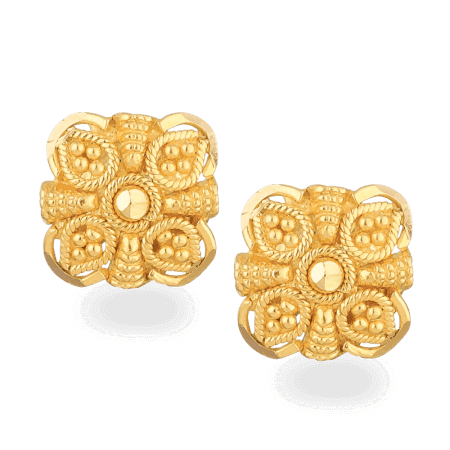 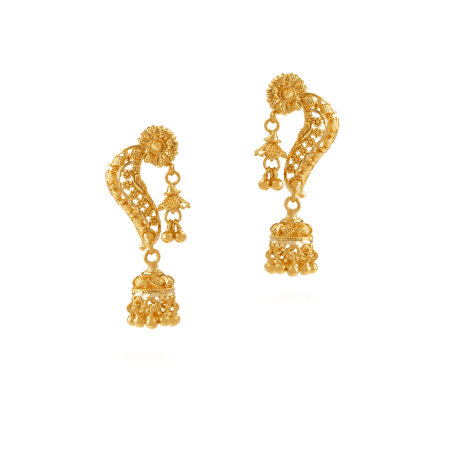 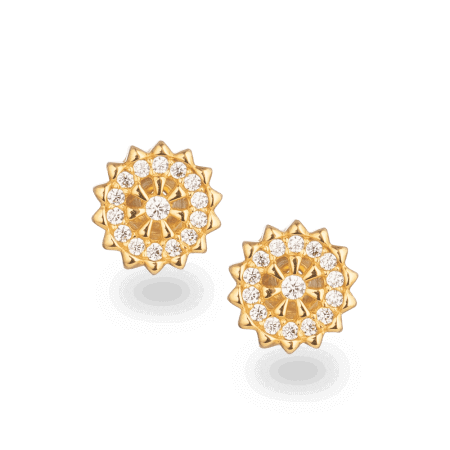 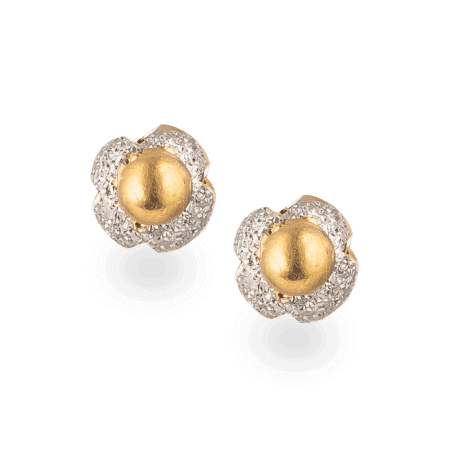 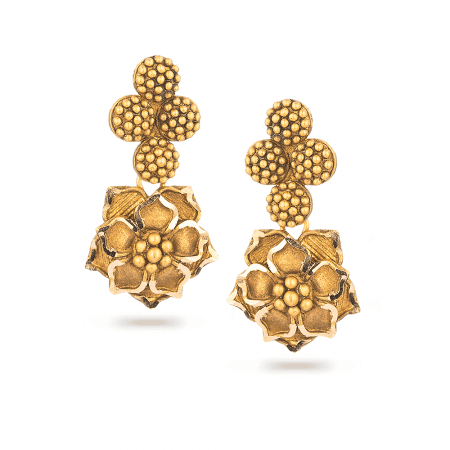 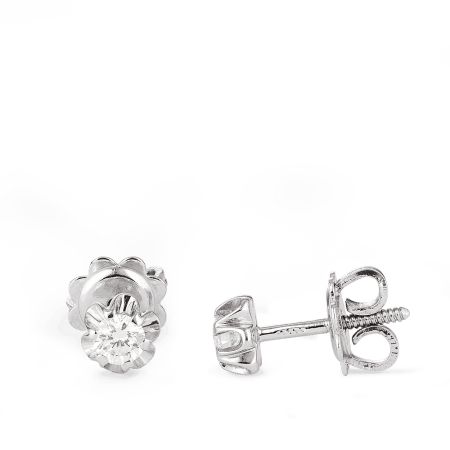 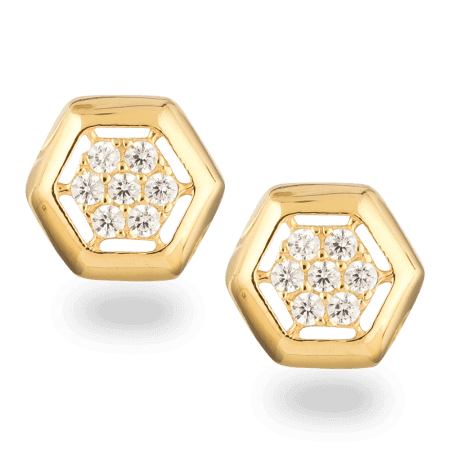 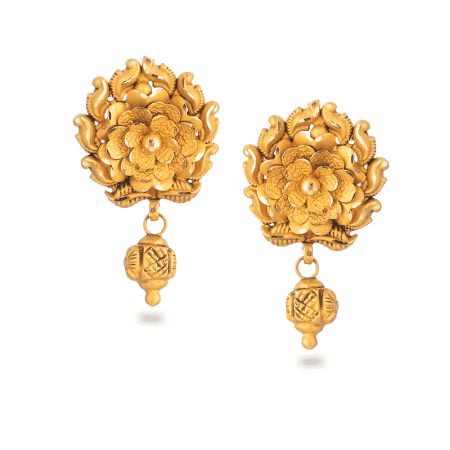 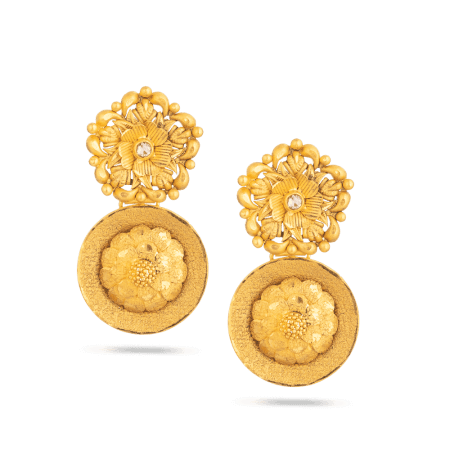 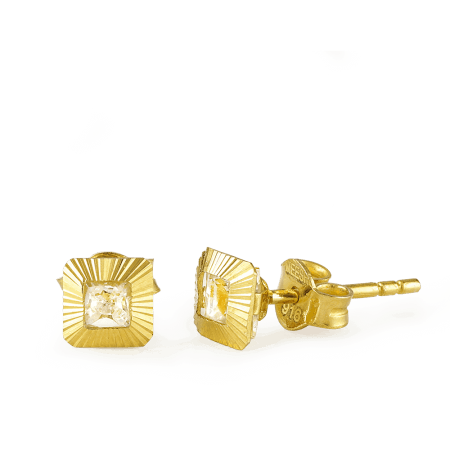 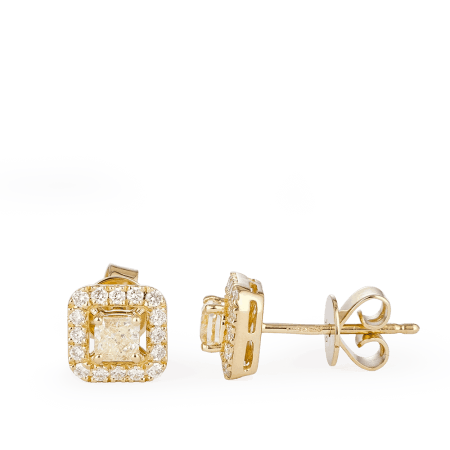 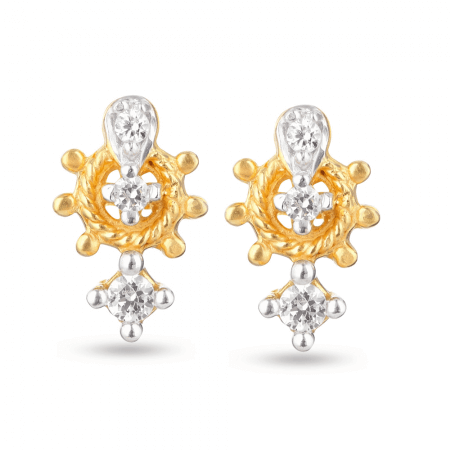 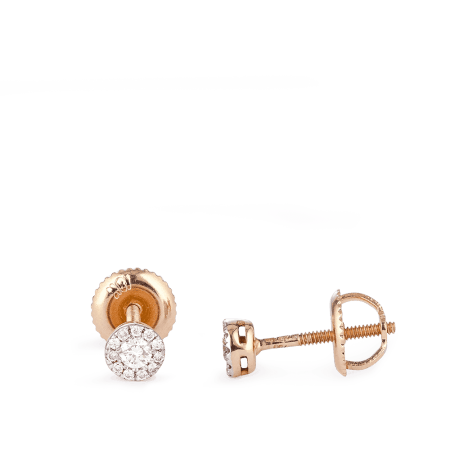 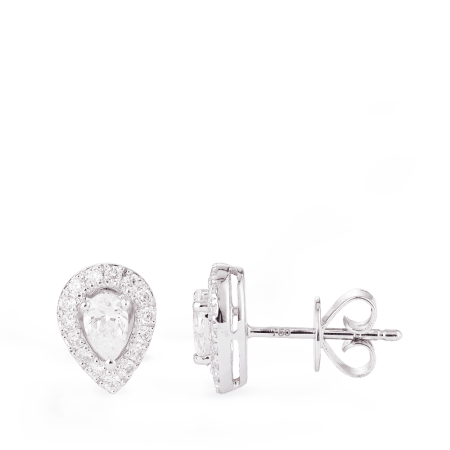 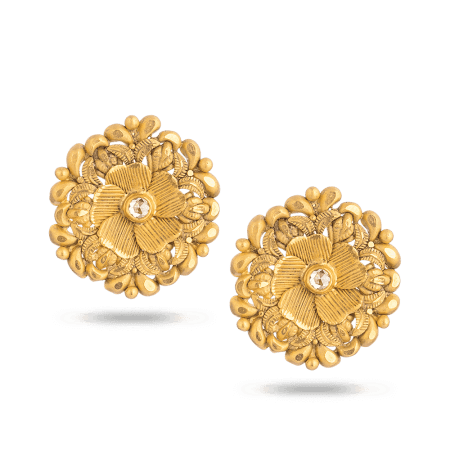 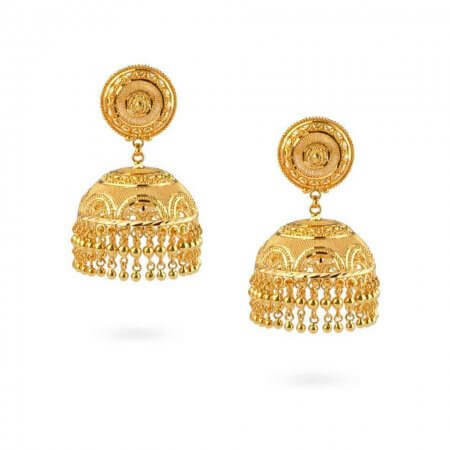 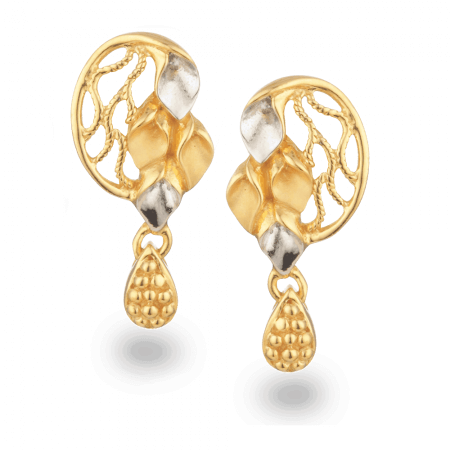 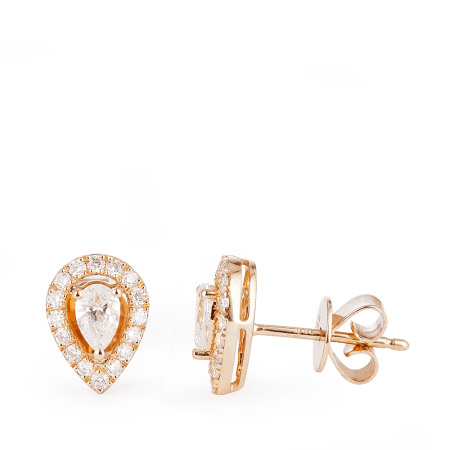 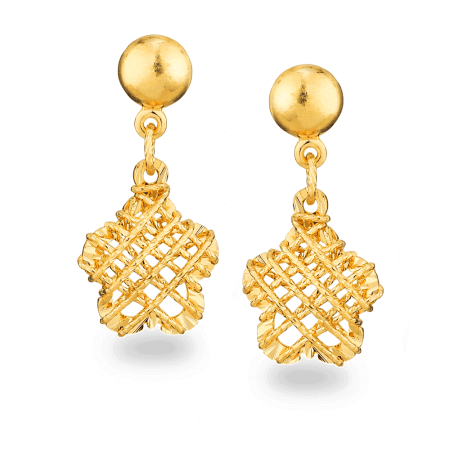 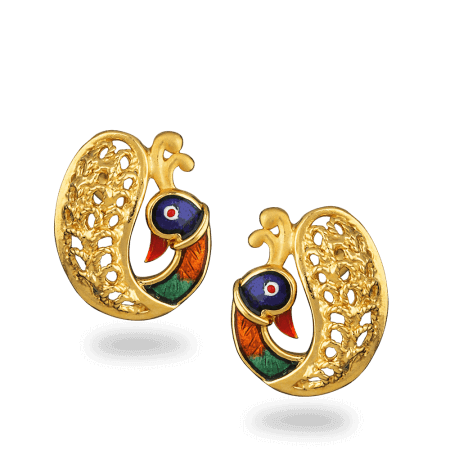 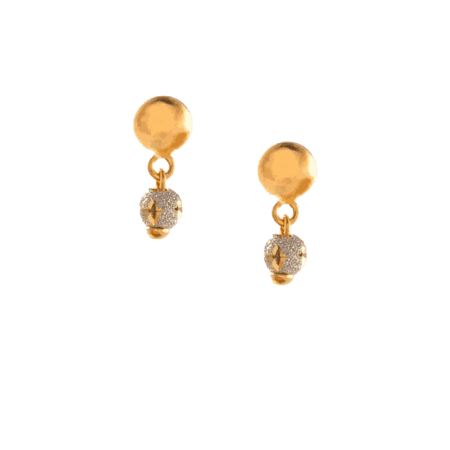 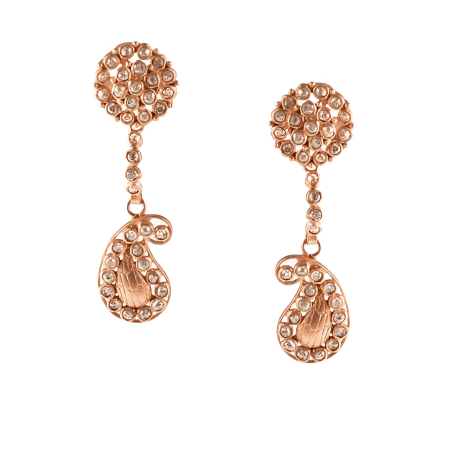 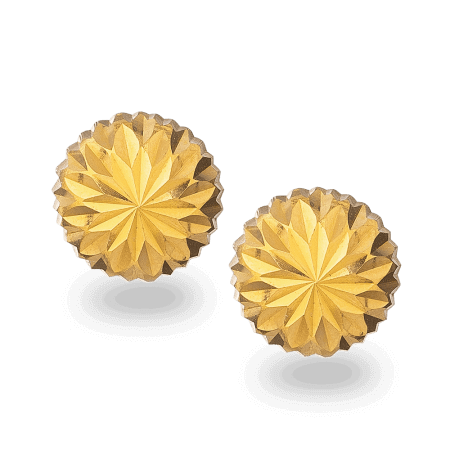 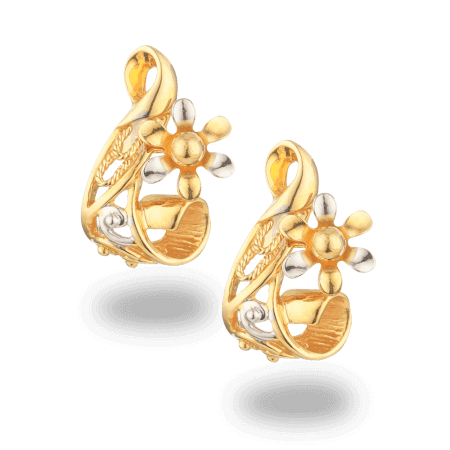 So you’ll find traditional pieces as well as well-designed new works in our gold earring collection. 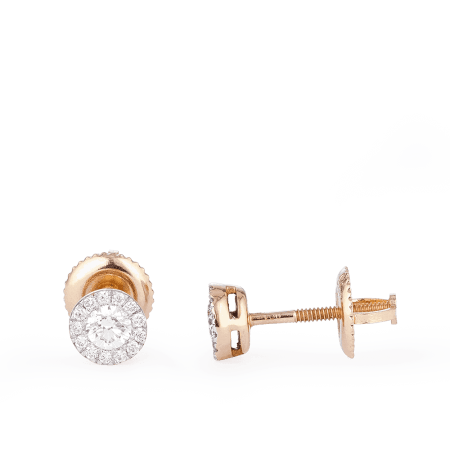 Two things unite the diverse range: one, the best metals – we use a lot of 18ct gold and 22ct gold as well as white and rose gold – and two, a sharp focus on good design. 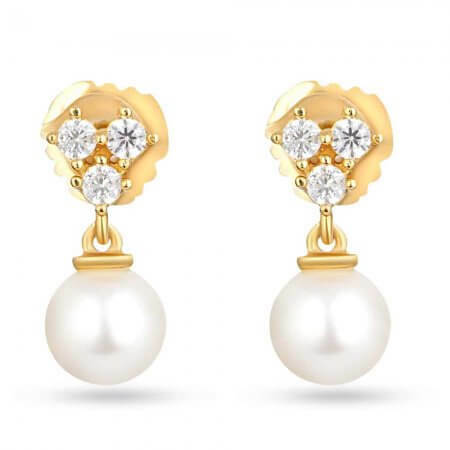 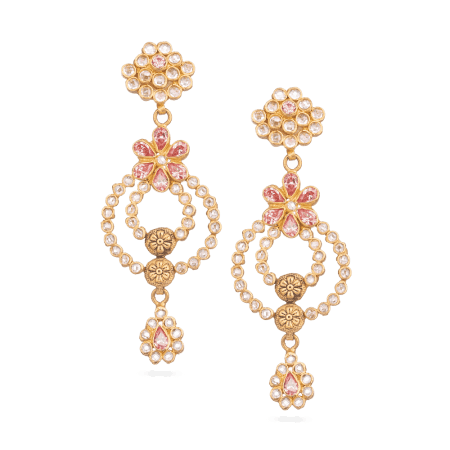 PureJewels today collaborates with brilliant designers, as well as keeping a strong in-house design team, and is securing a reputation as London’s top Indian jeweller. 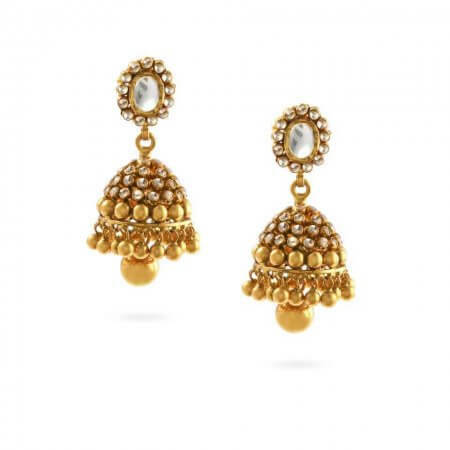 We love Jumkha! 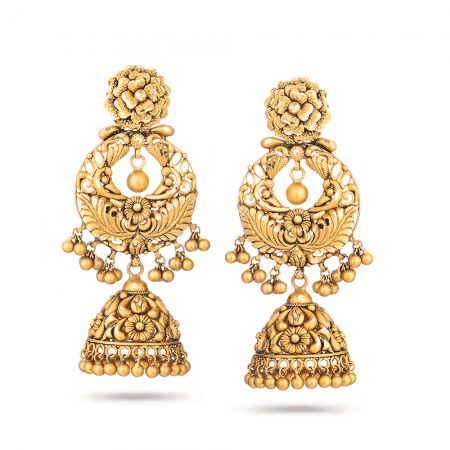 It’s a very old Indian design in the chandelier style, with a bell-like pendant. 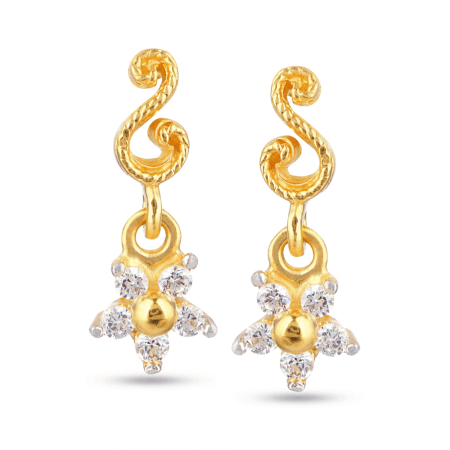 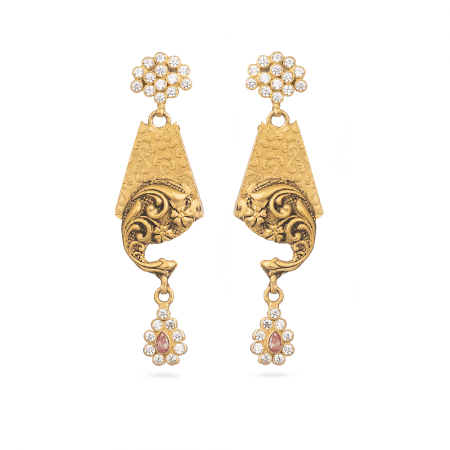 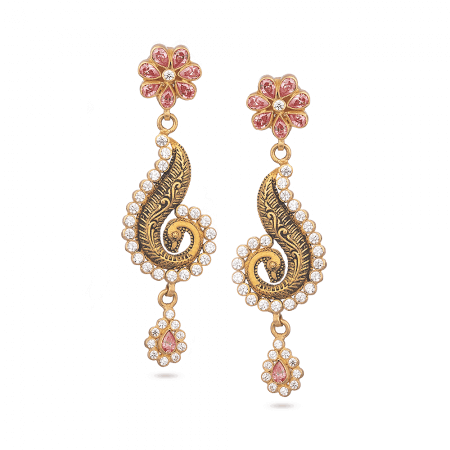 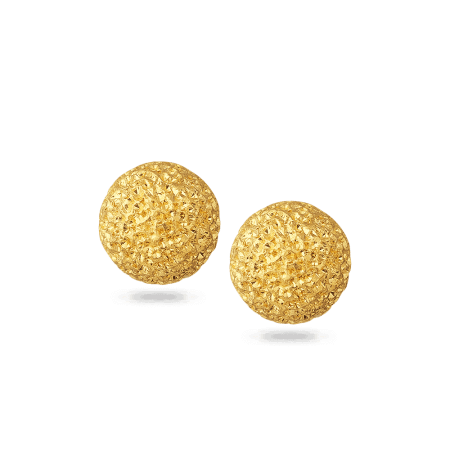 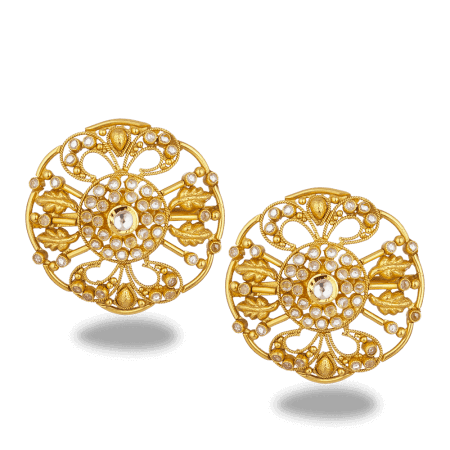 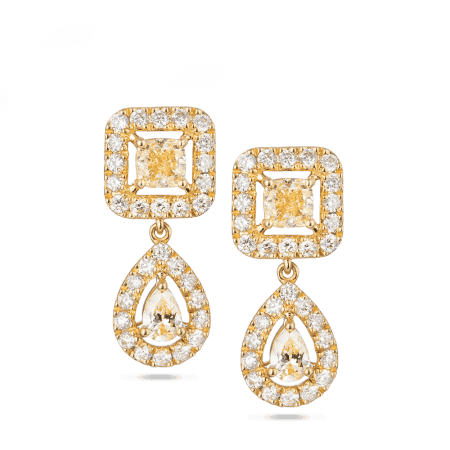 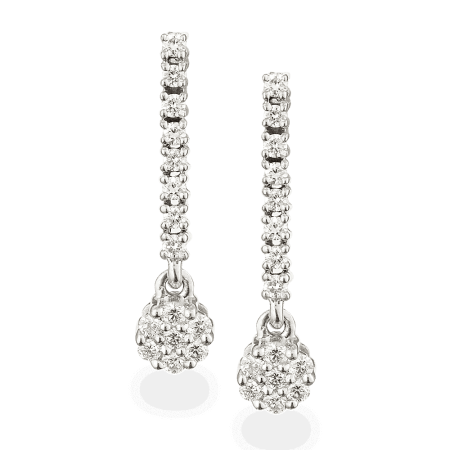 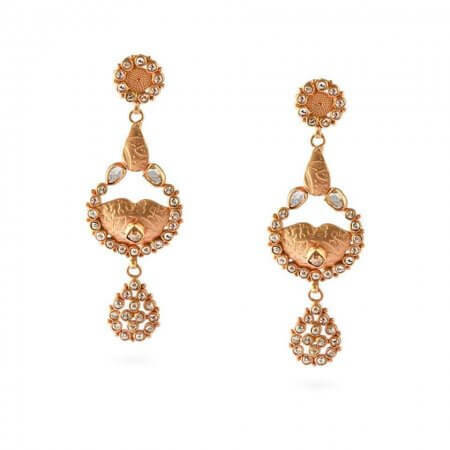 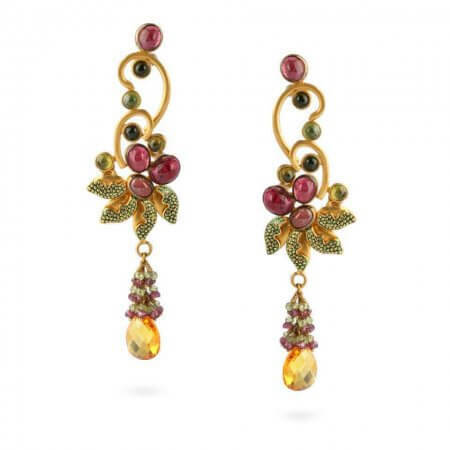 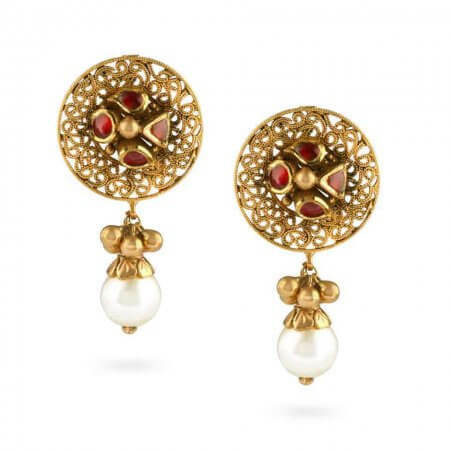 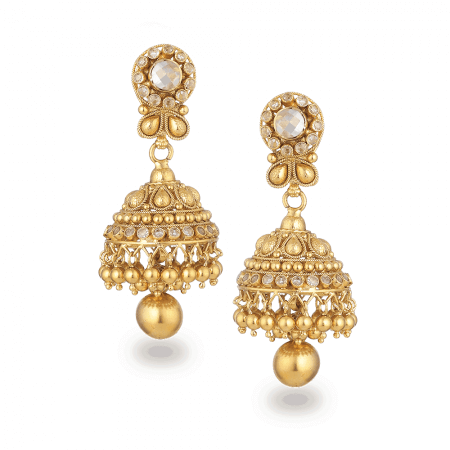 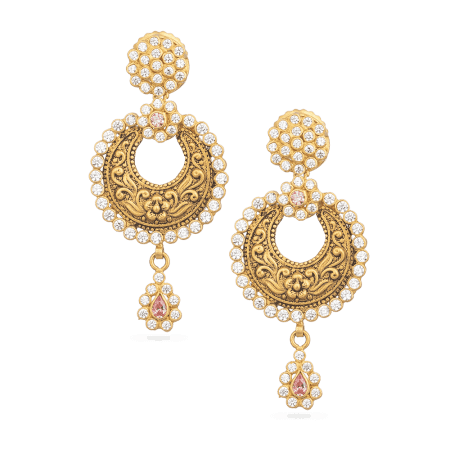 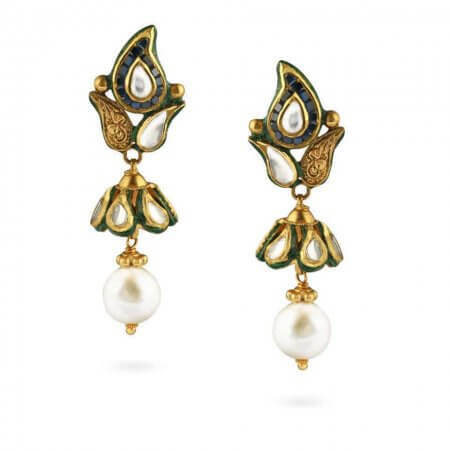 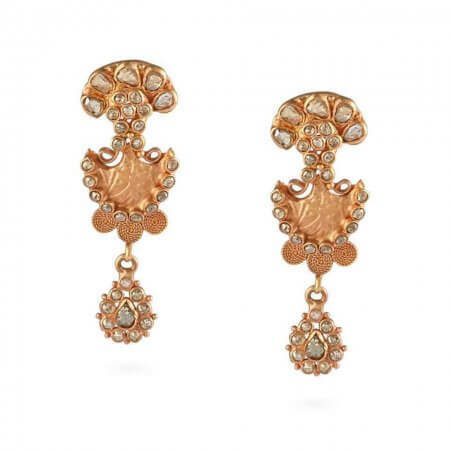 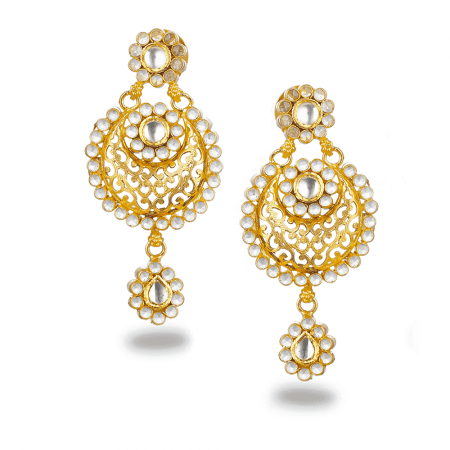 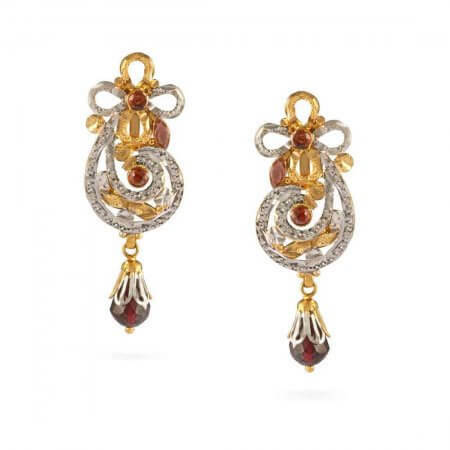 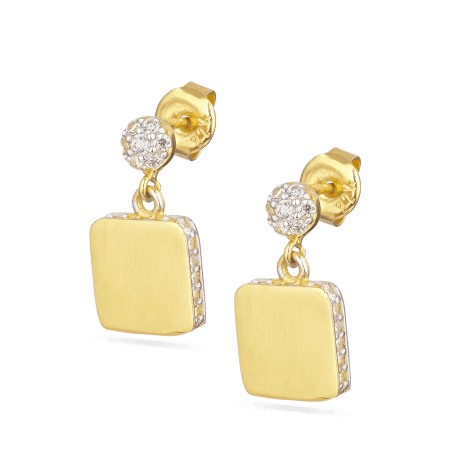 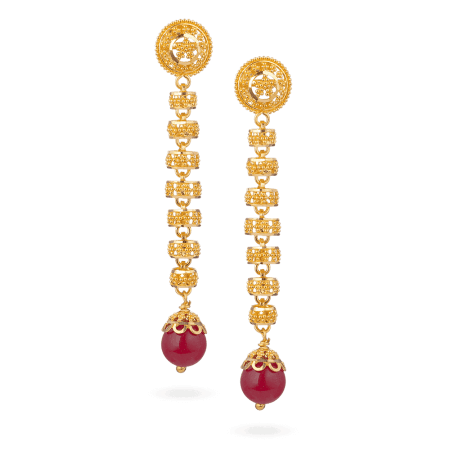 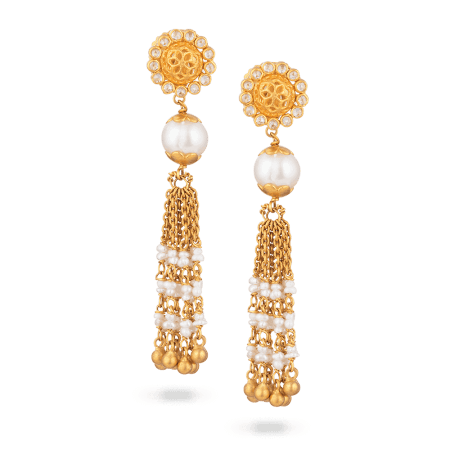 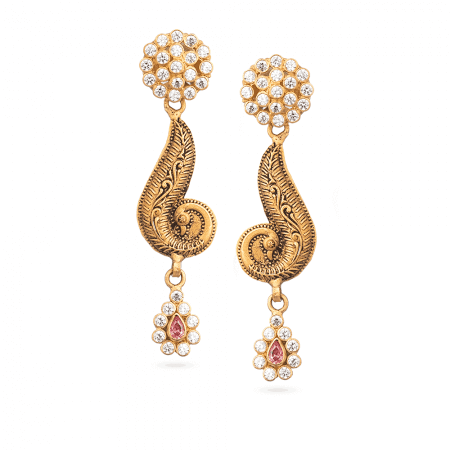 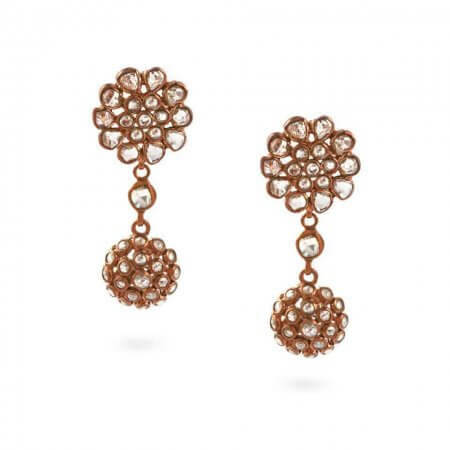 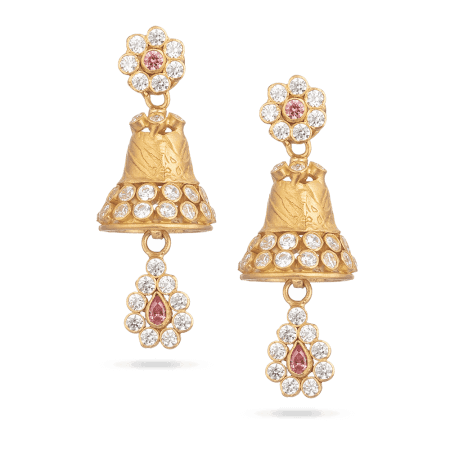 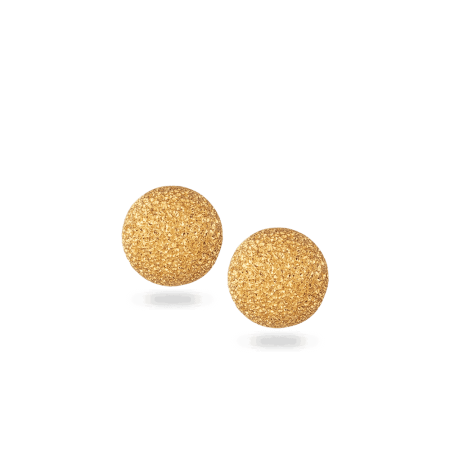 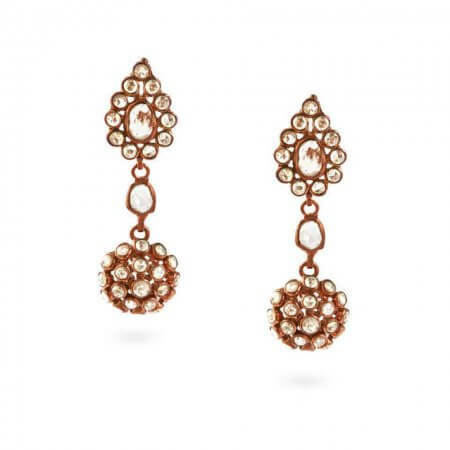 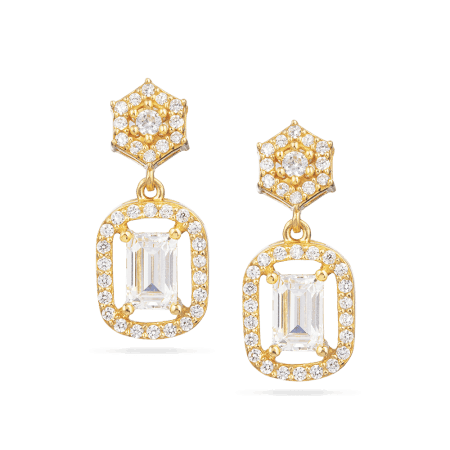 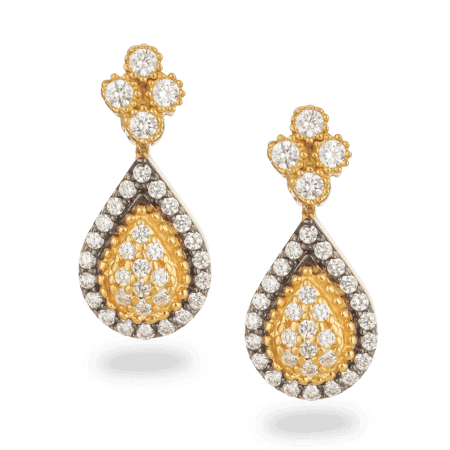 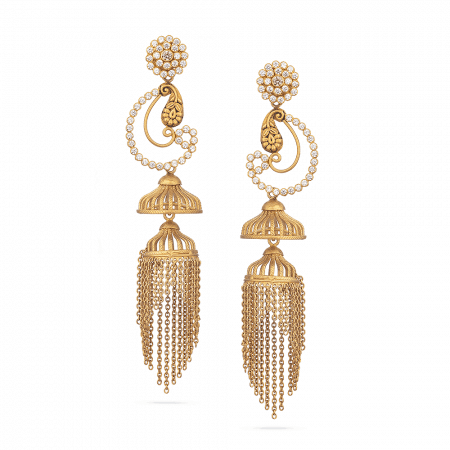 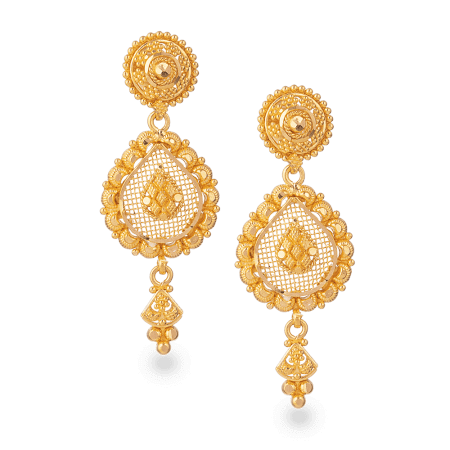 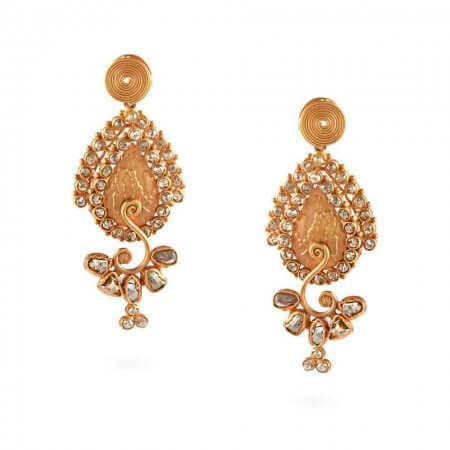 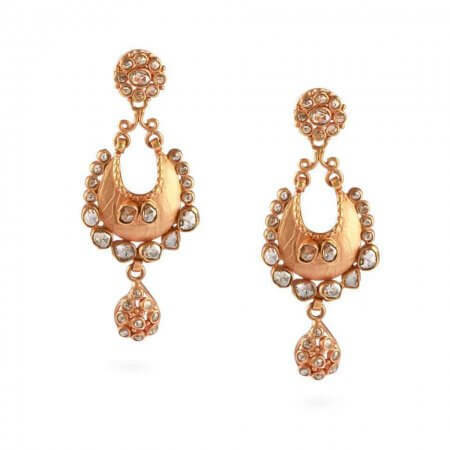 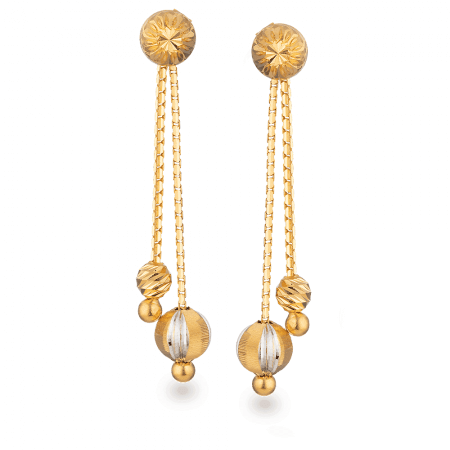 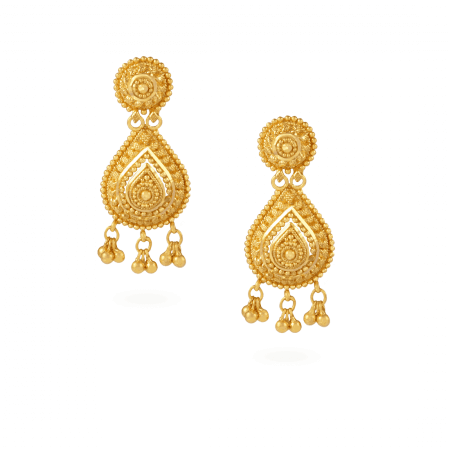 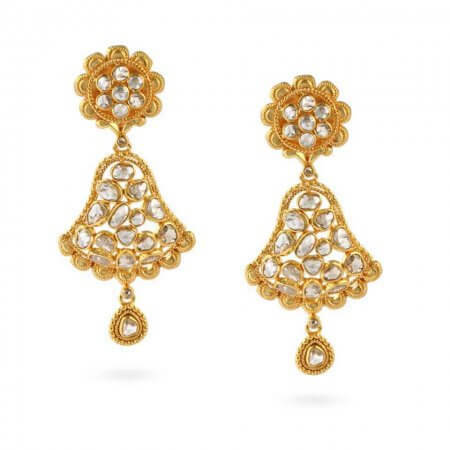 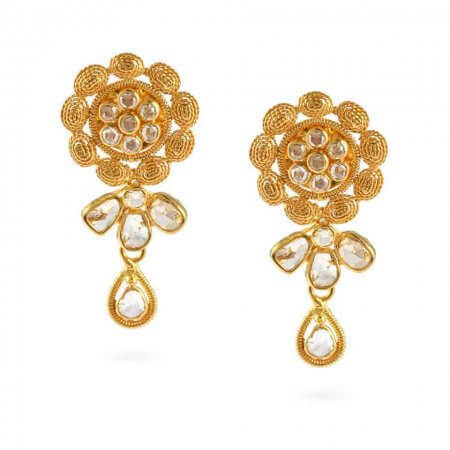 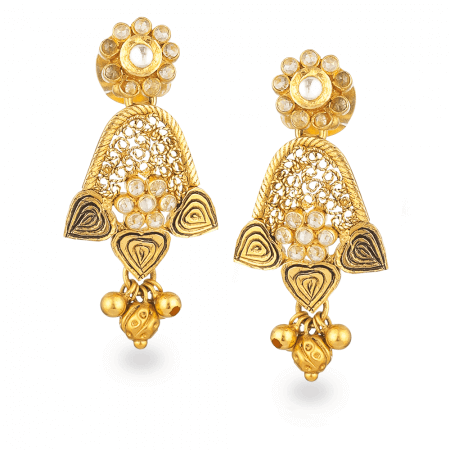 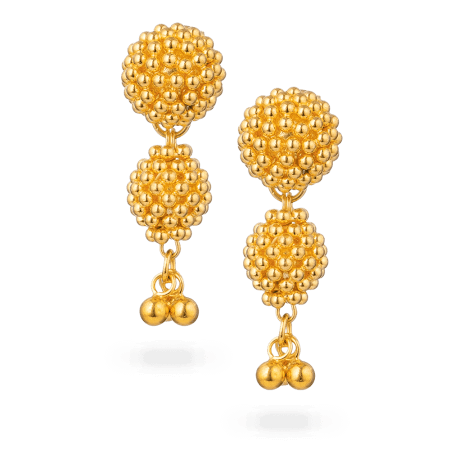 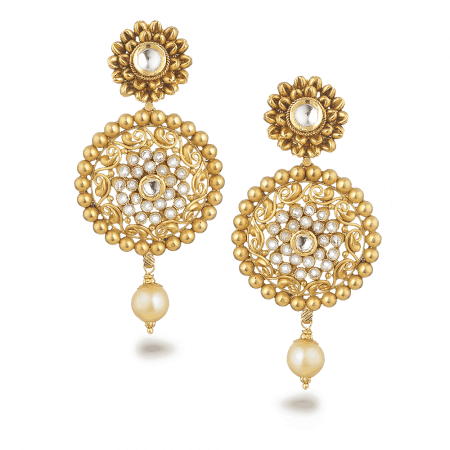 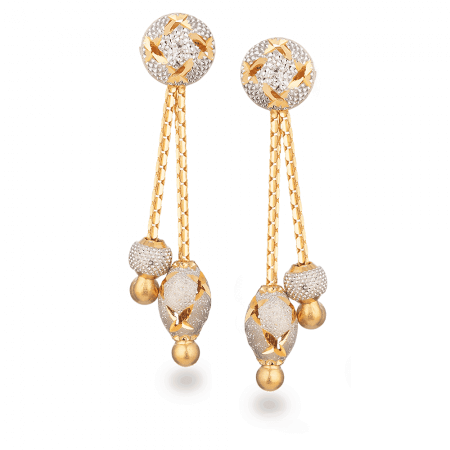 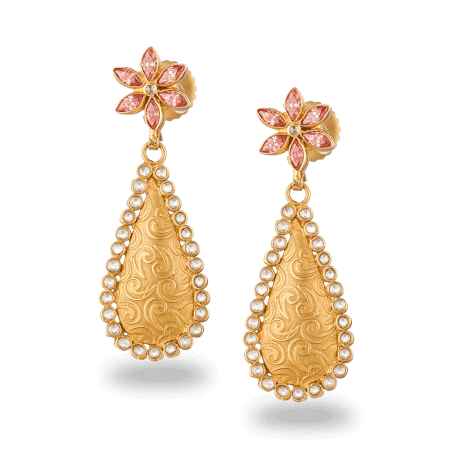 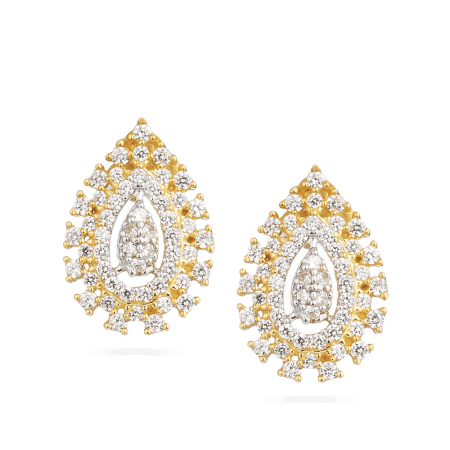 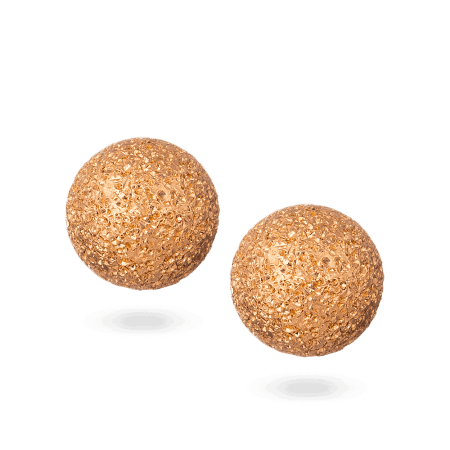 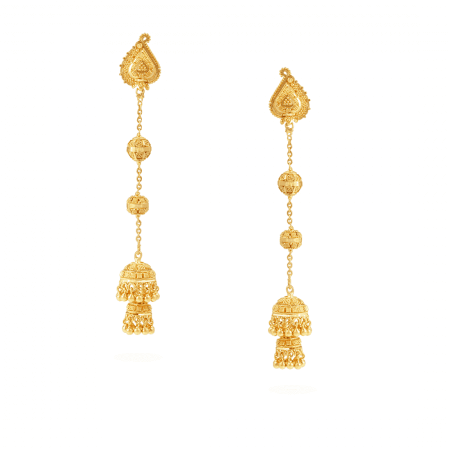 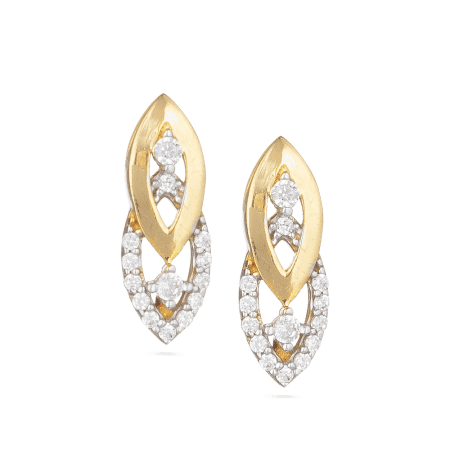 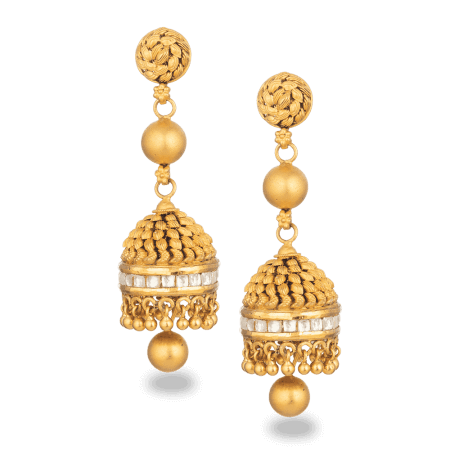 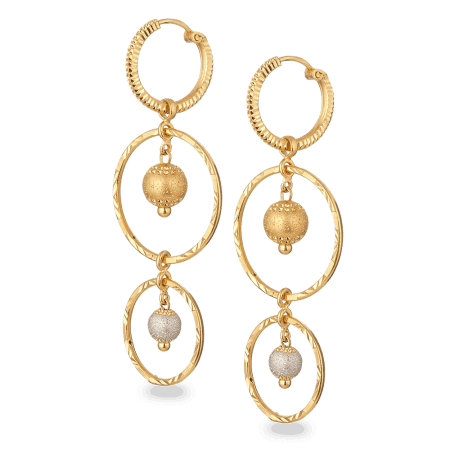 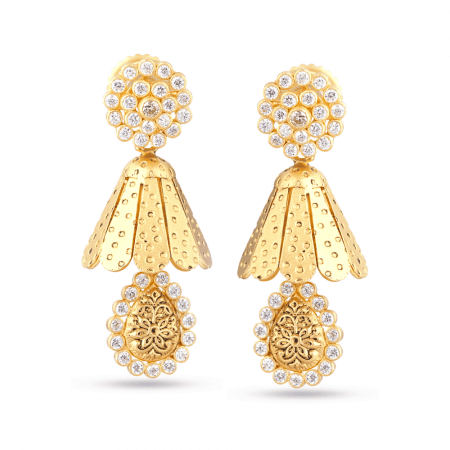 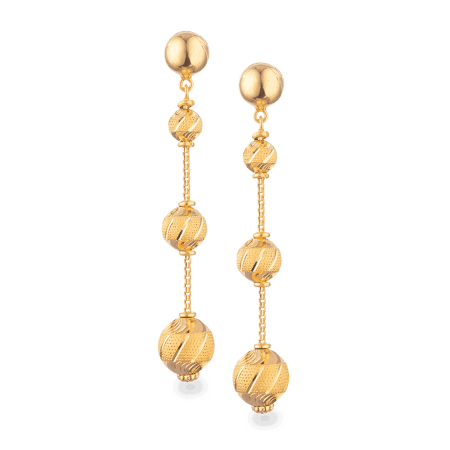 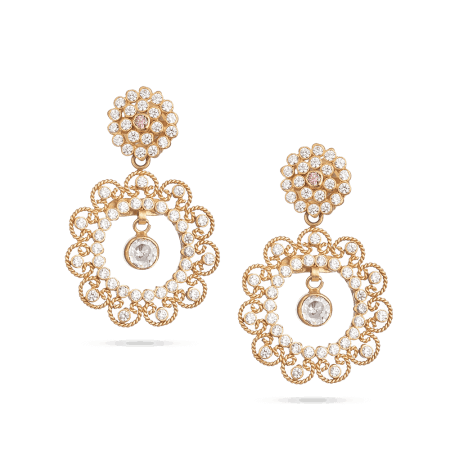 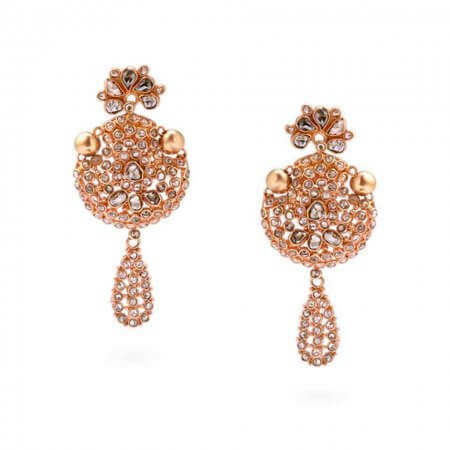 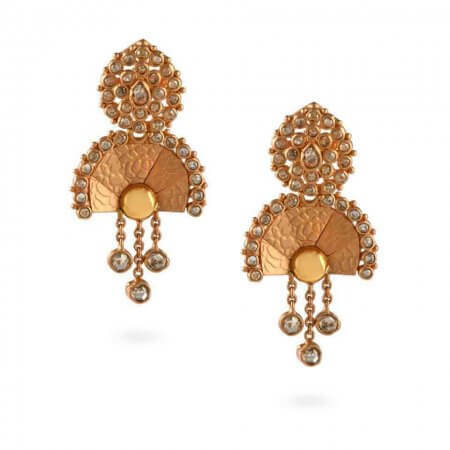 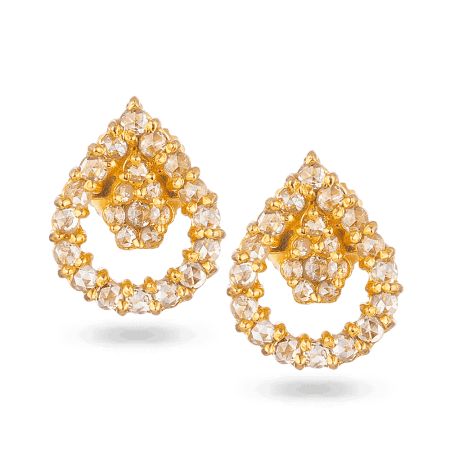 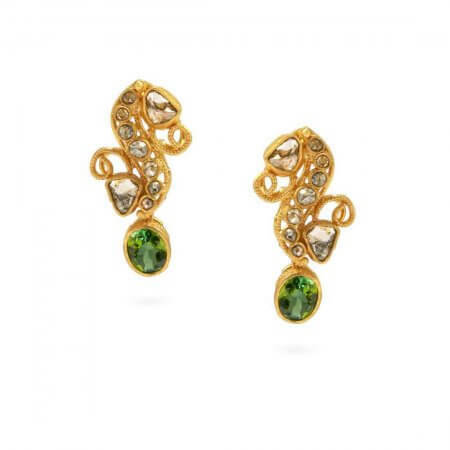 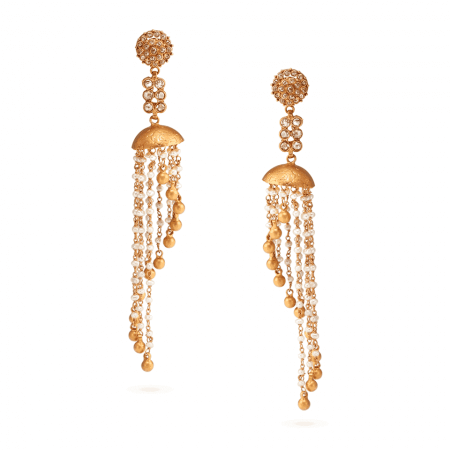 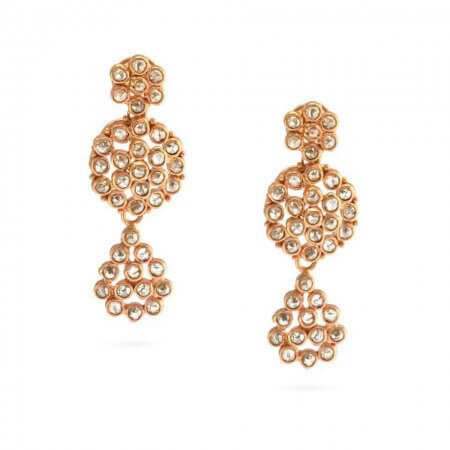 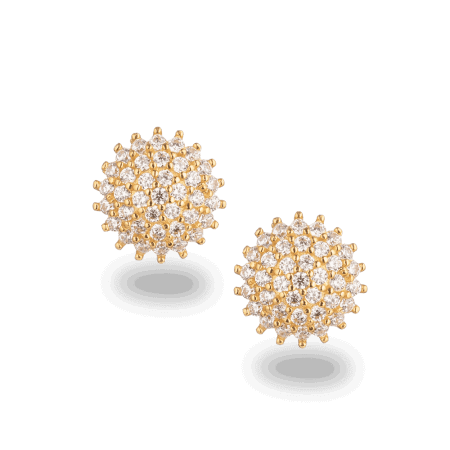 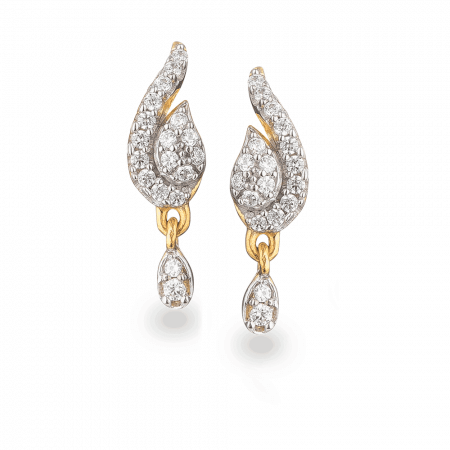 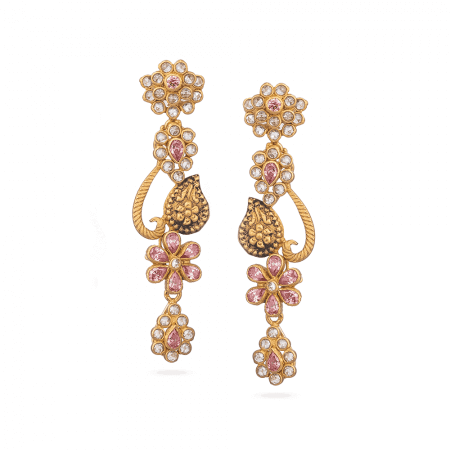 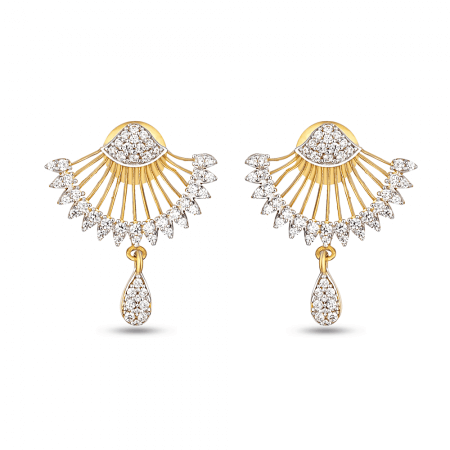 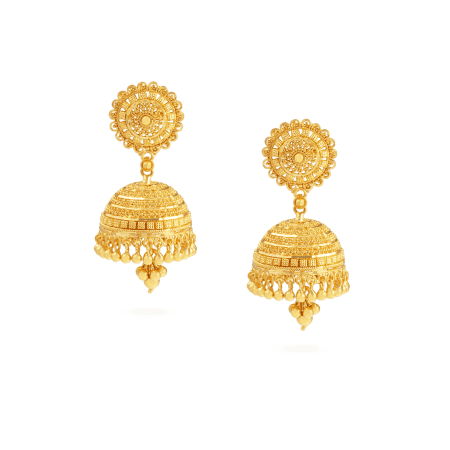 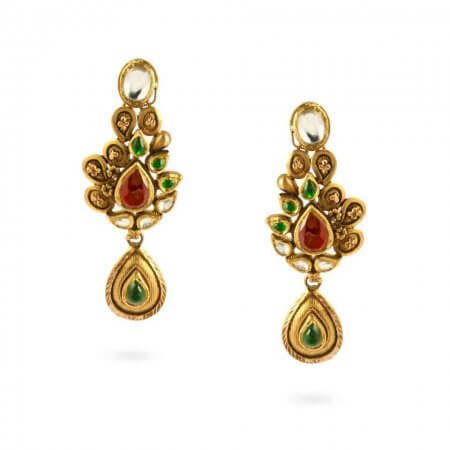 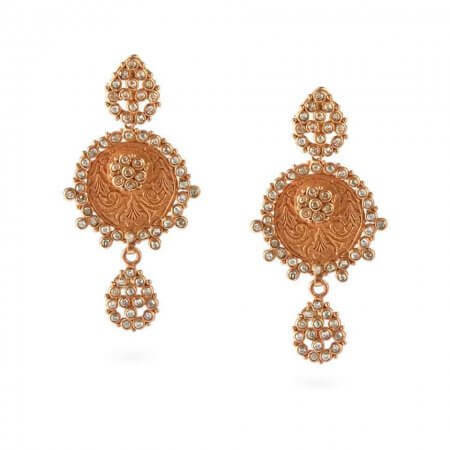 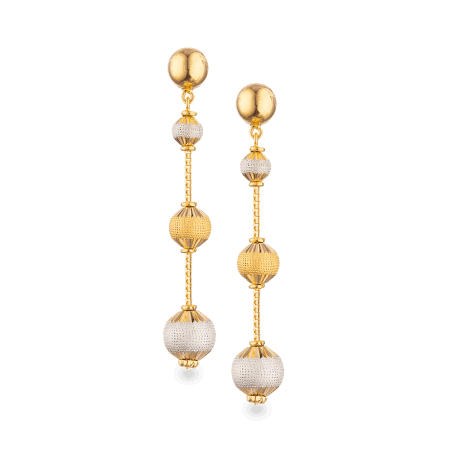 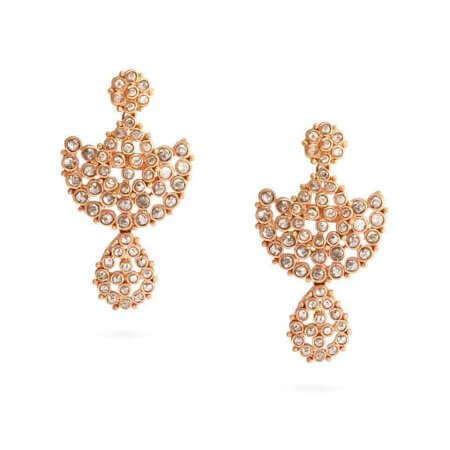 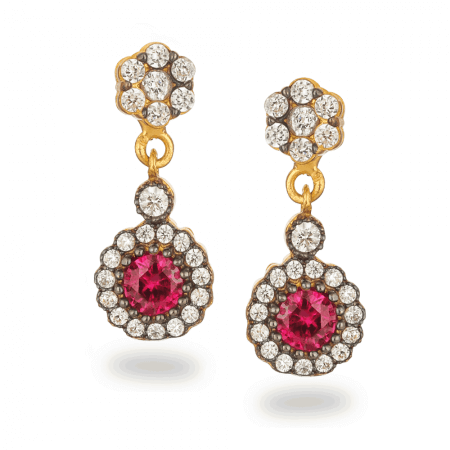 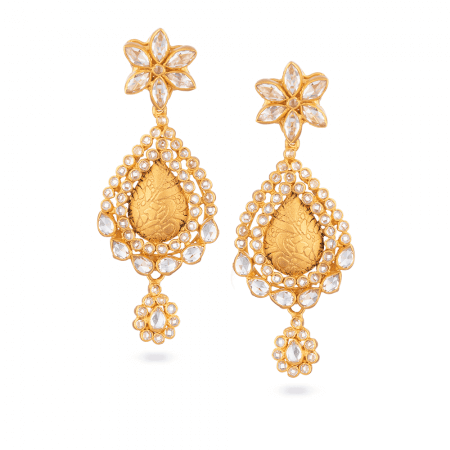 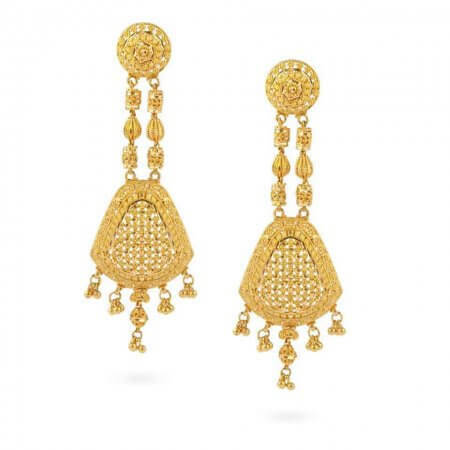 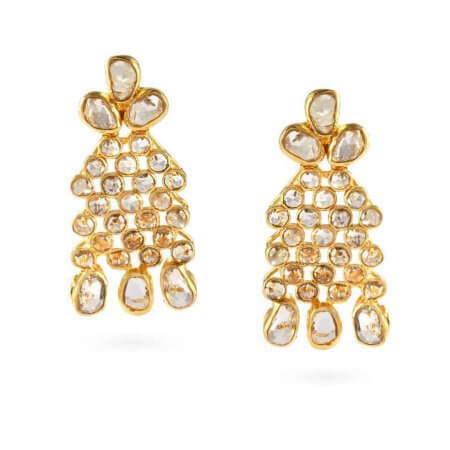 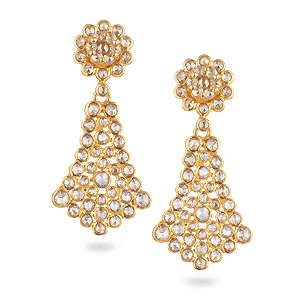 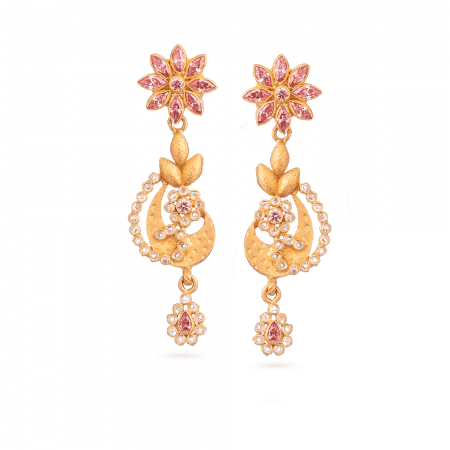 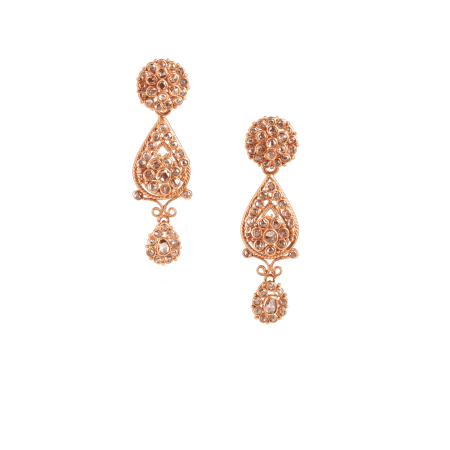 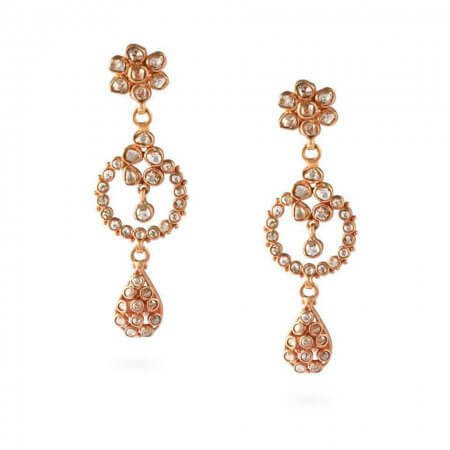 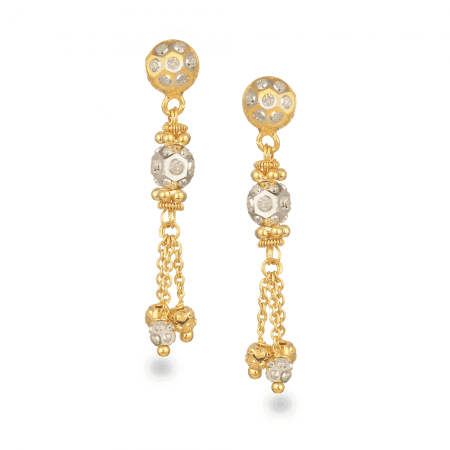 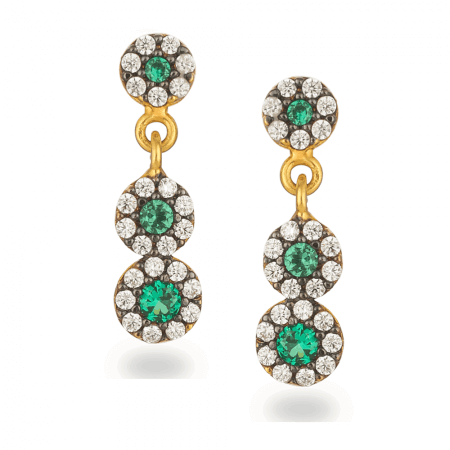 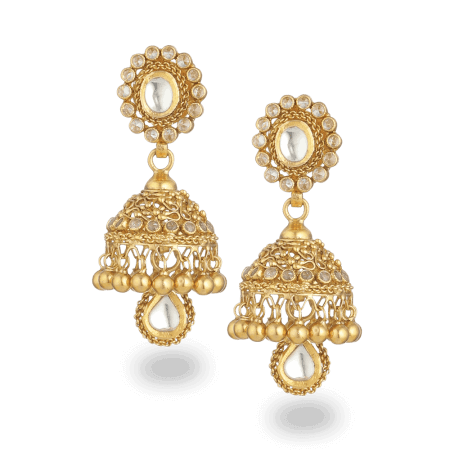 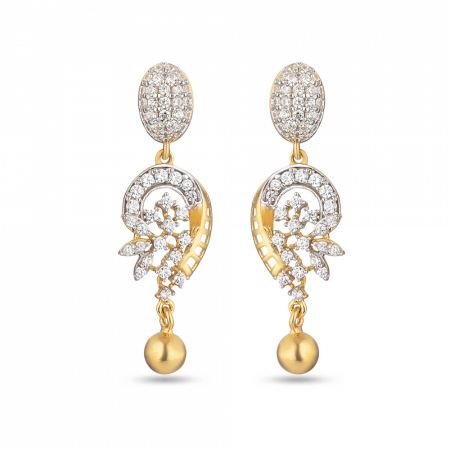 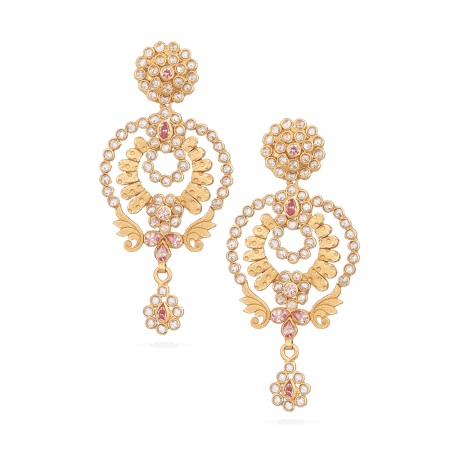 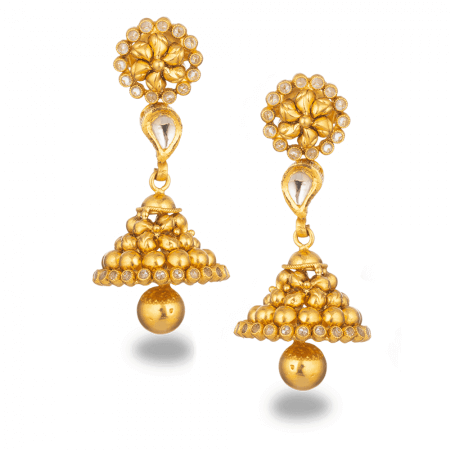 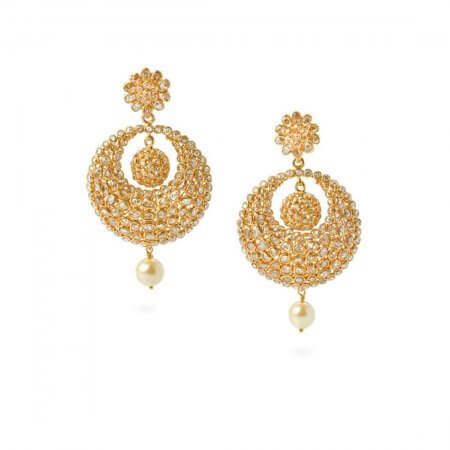 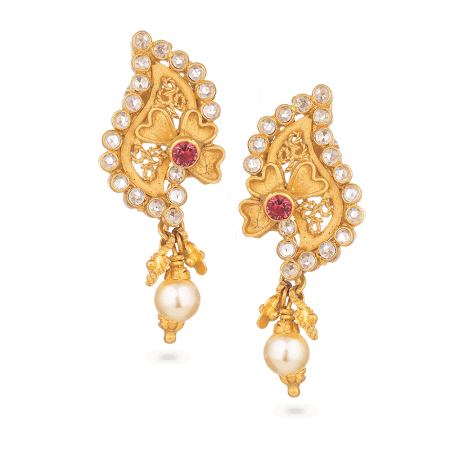 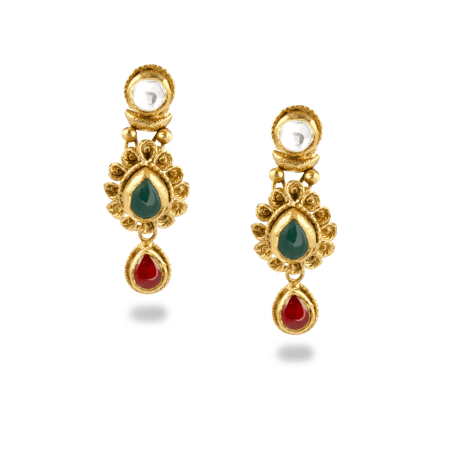 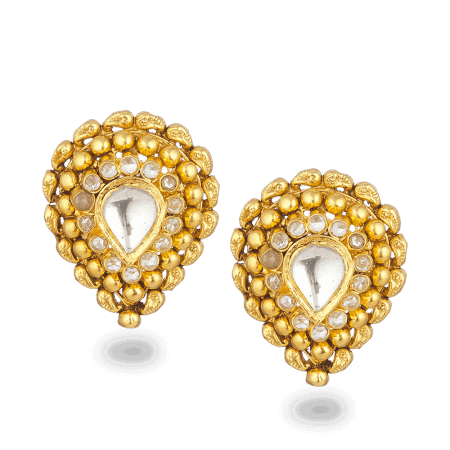 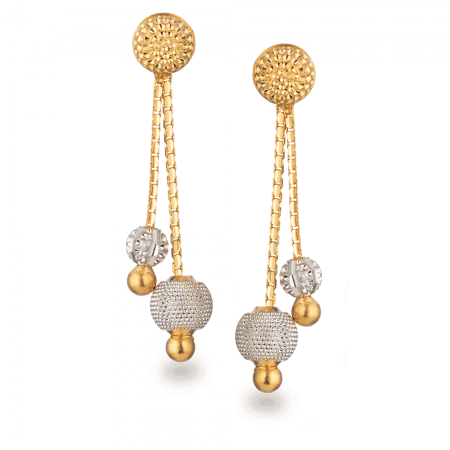 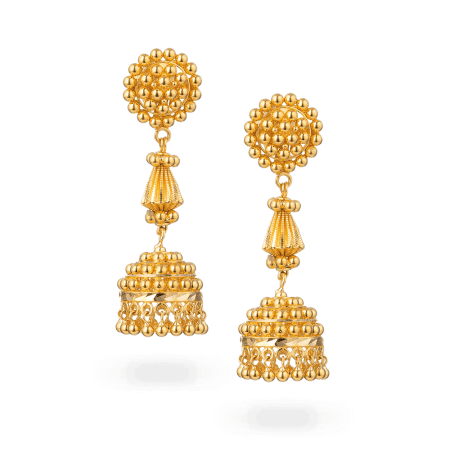 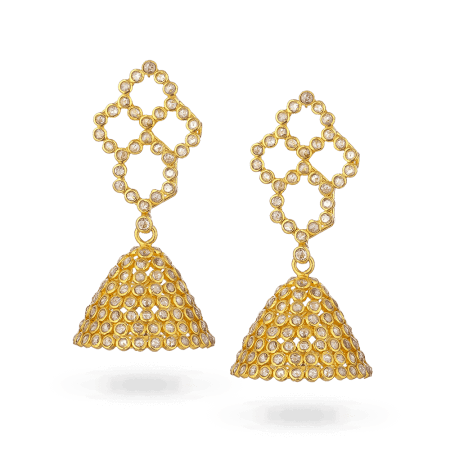 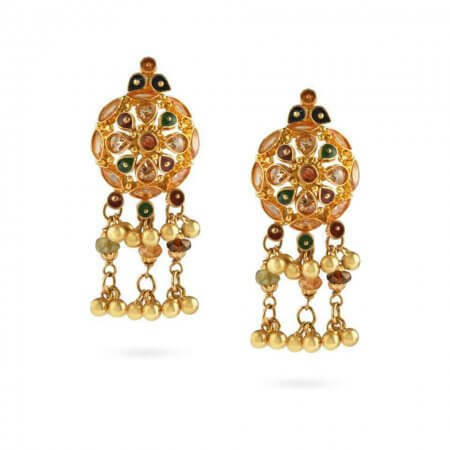 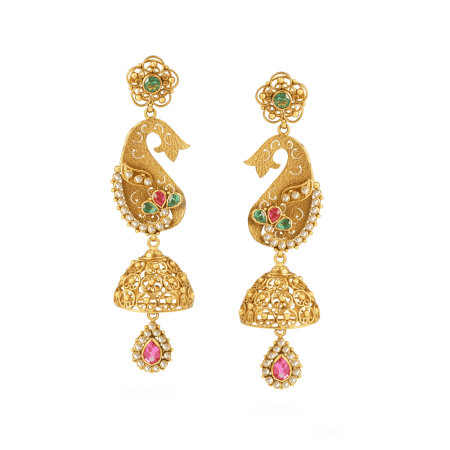 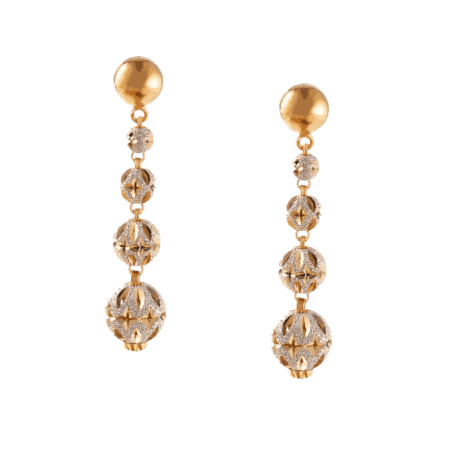 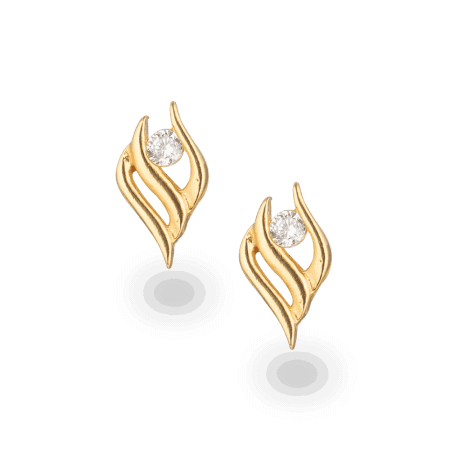 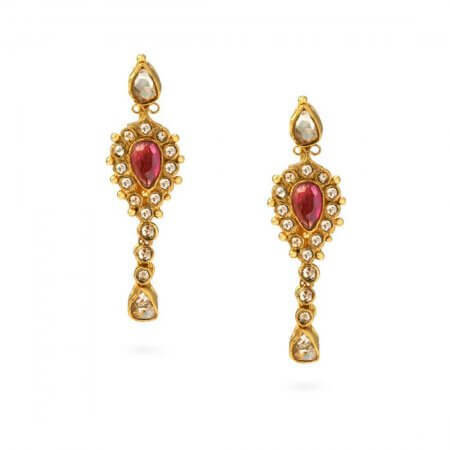 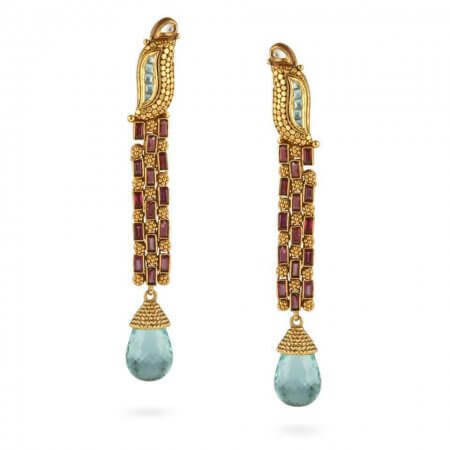 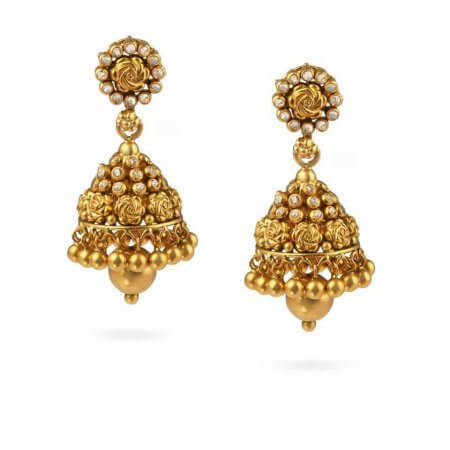 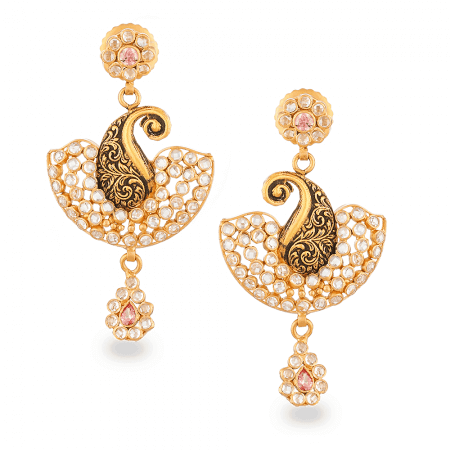 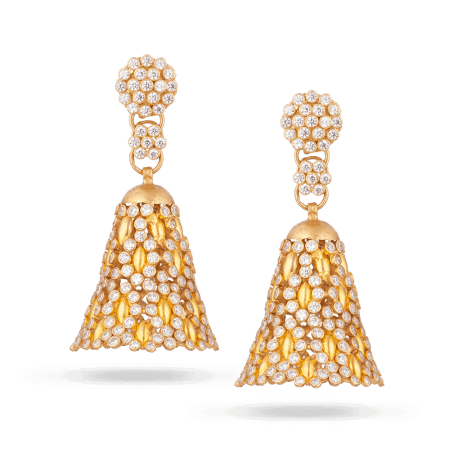 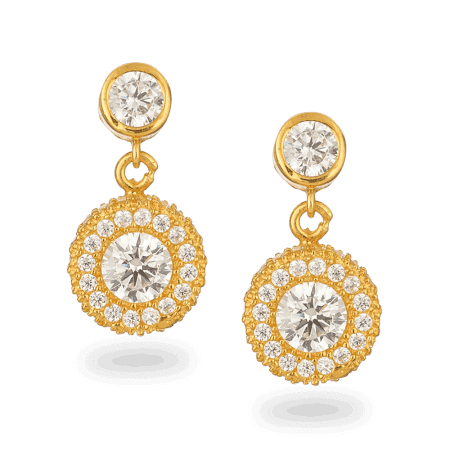 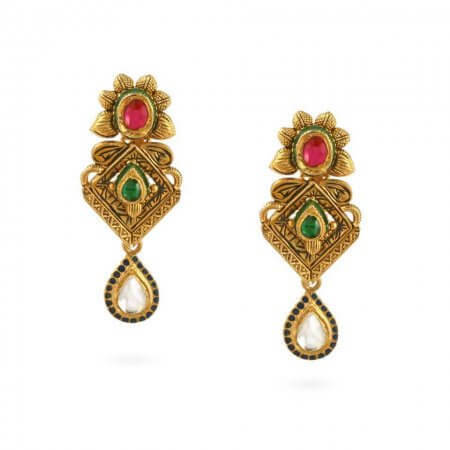 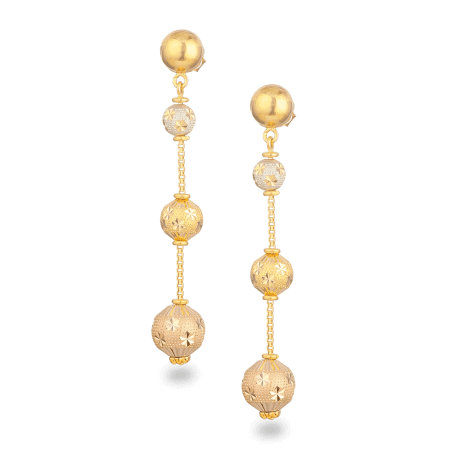 Jumkha earrings have lots of shimmer and movement, and they’re associated with happy events and parties. 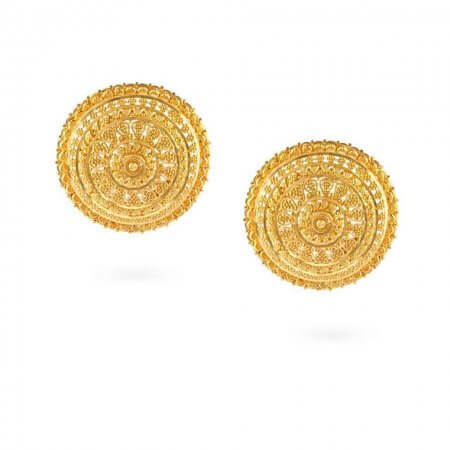 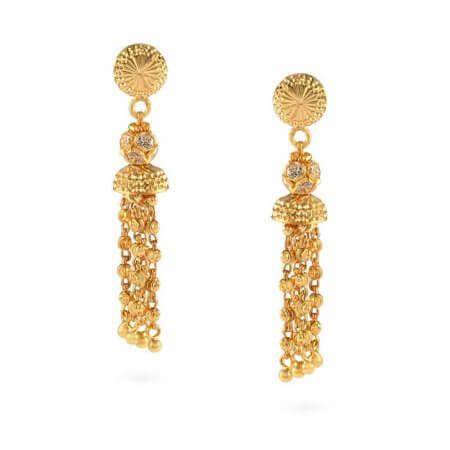 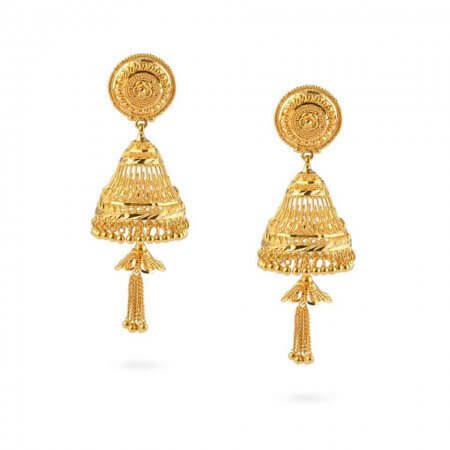 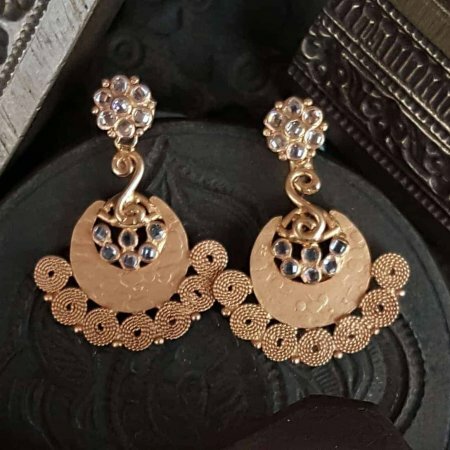 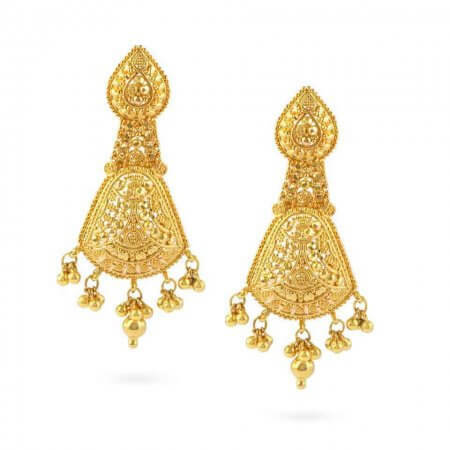 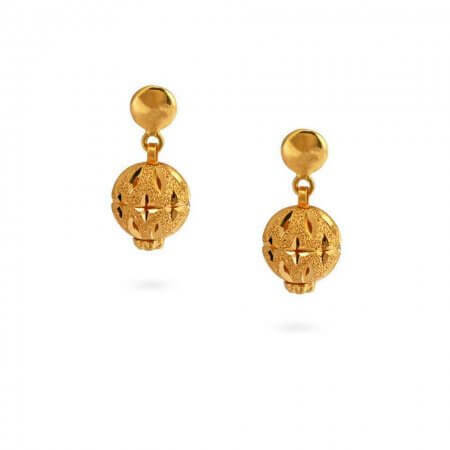 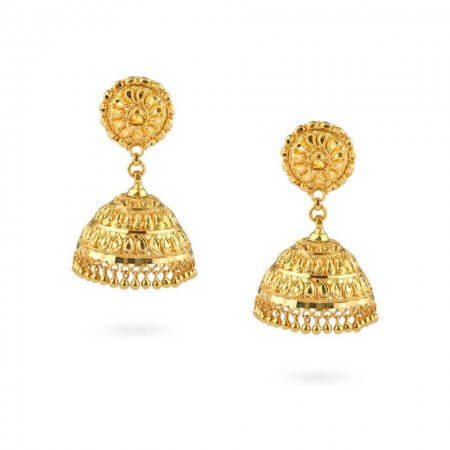 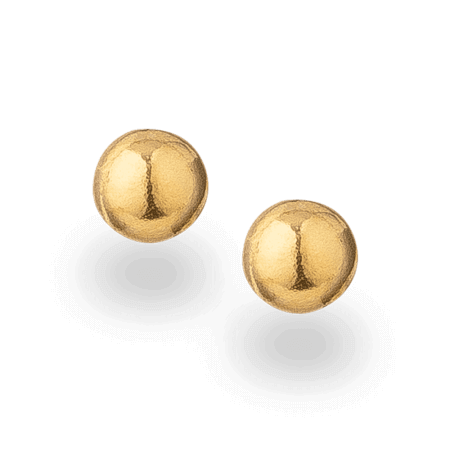 You’ll find plenty of choice here, because we have been travelling the East to find the finest 22ct gold Jumkha earrings in traditional and slightly more contemporary styles. 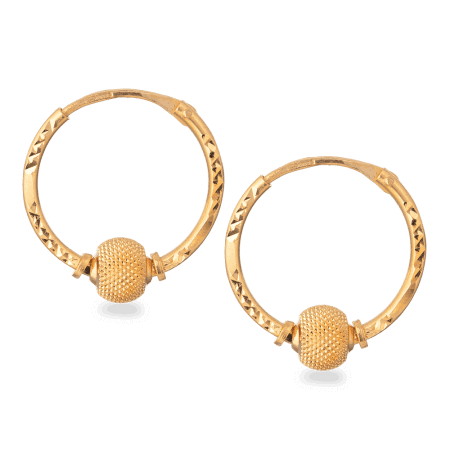 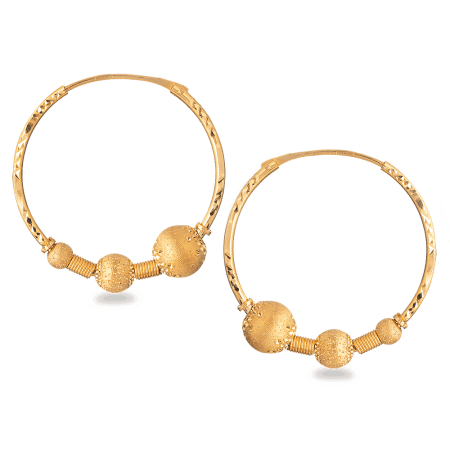 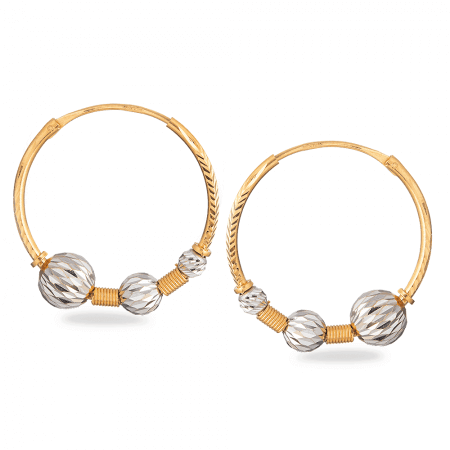 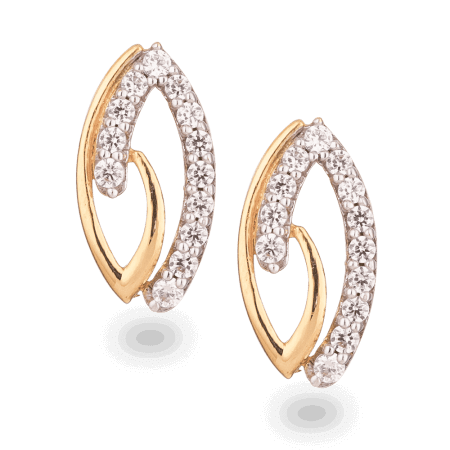 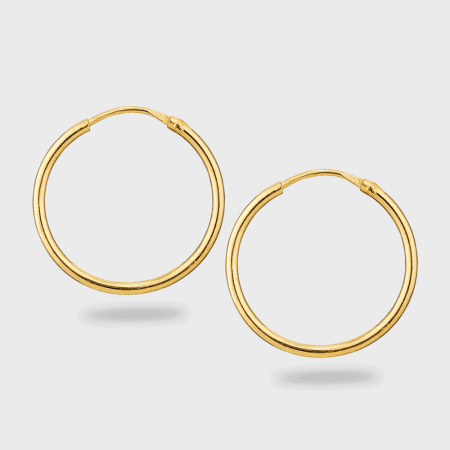 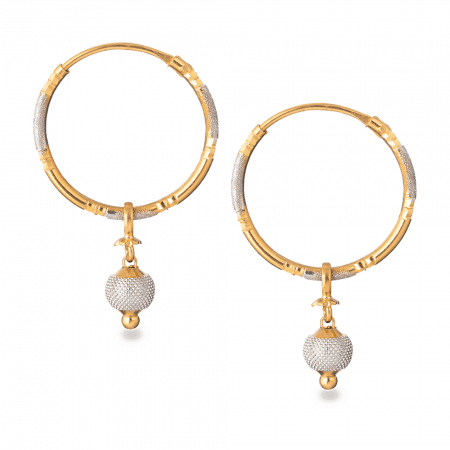 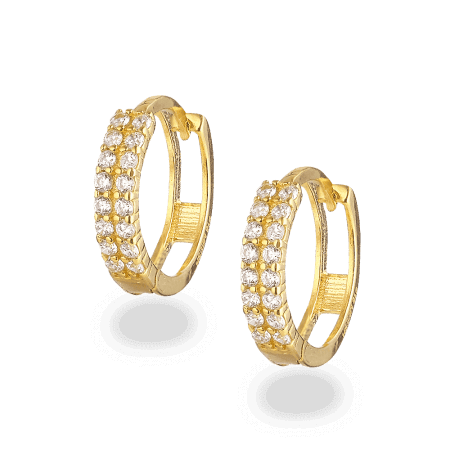 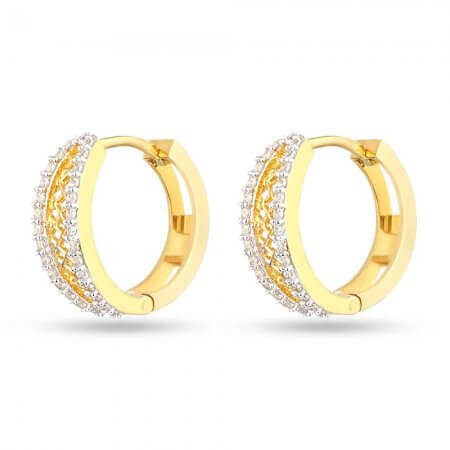 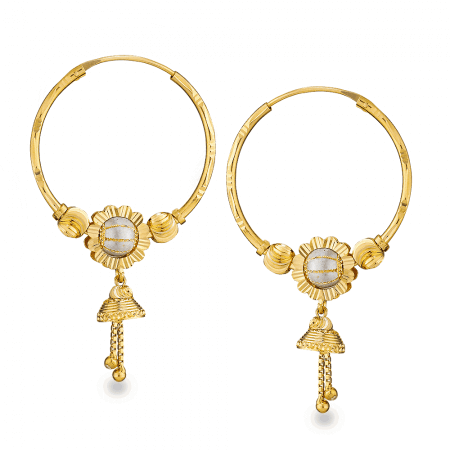 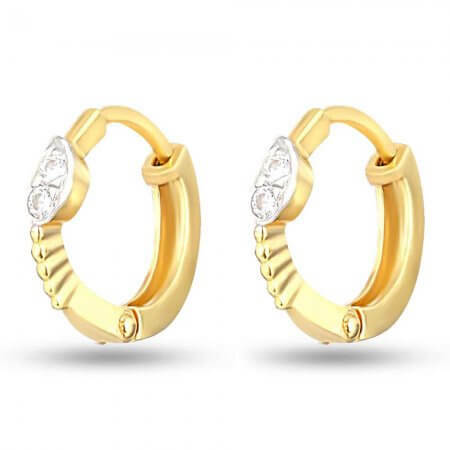 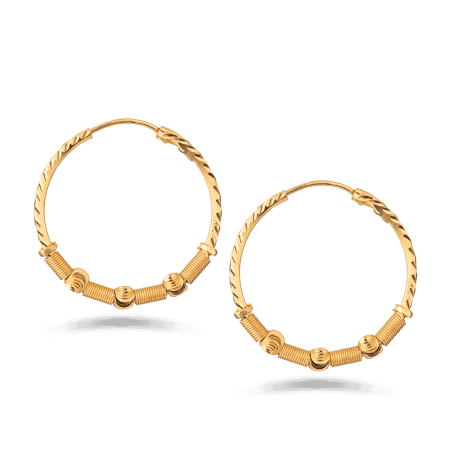 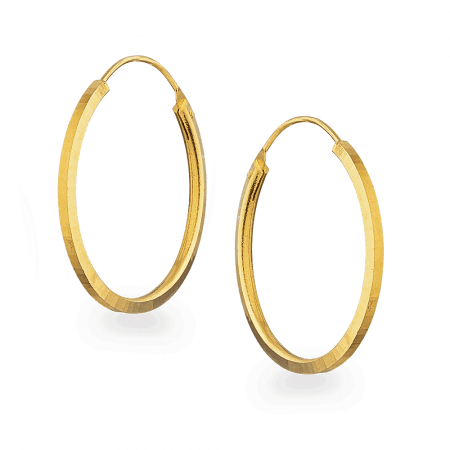 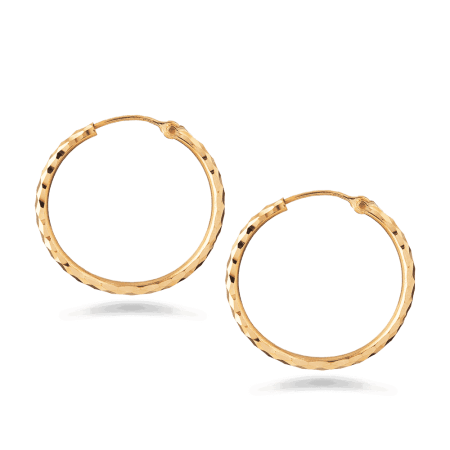 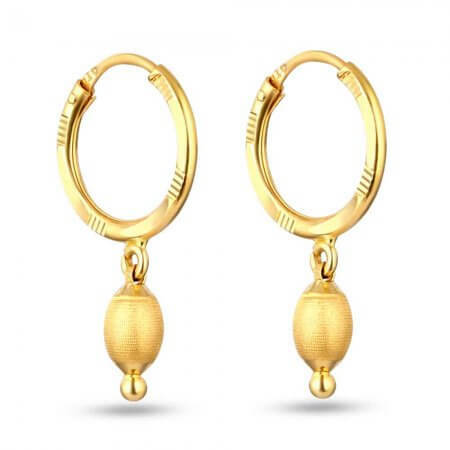 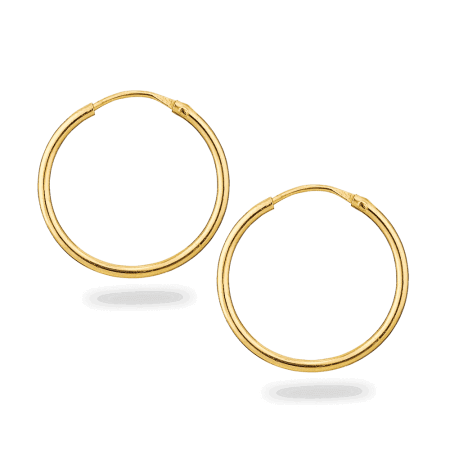 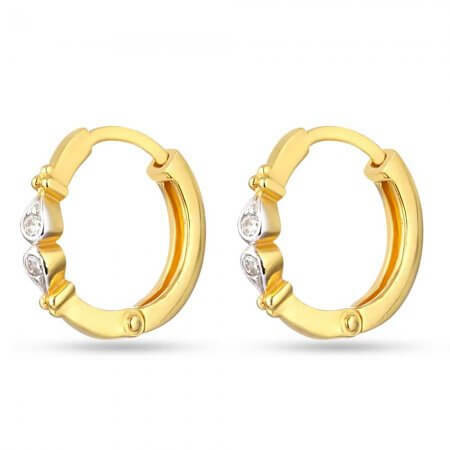 If you love to wear hoop earrings, you deserve a pair in 22ct gold – Indian style. 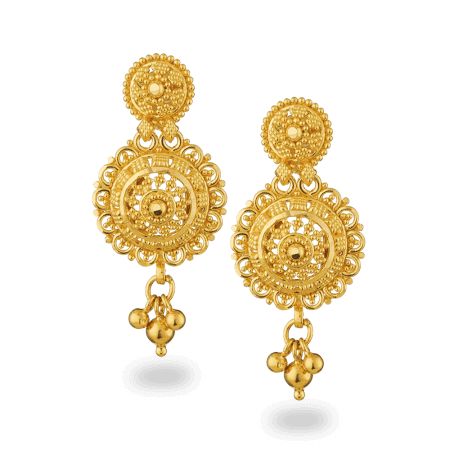 22ct gold is around 90% gold (only 24ct is 100%), which is the highest grade of gold that you can reasonably use to make jewellery. 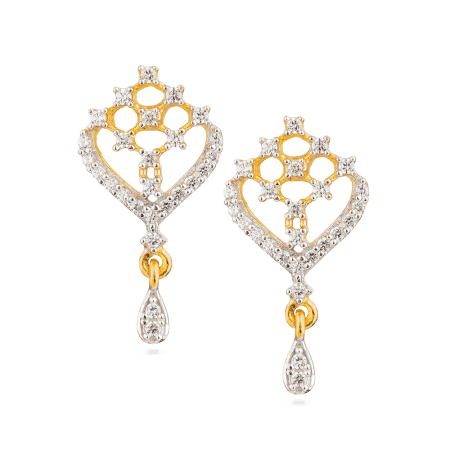 That’s the reason it is chosen for landmark gifts, investments, and inheritance jewels. 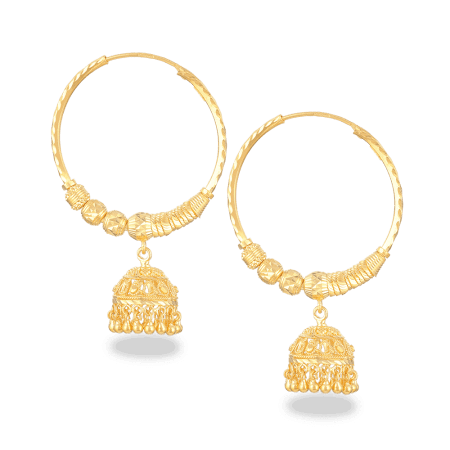 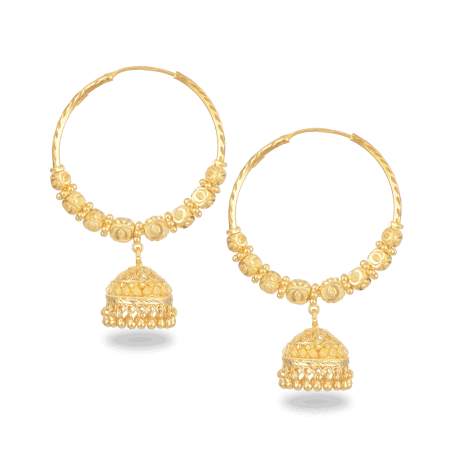 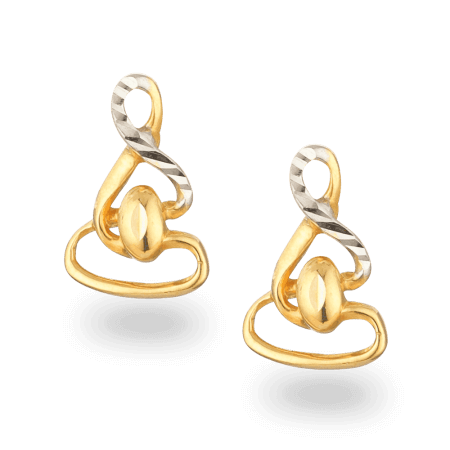 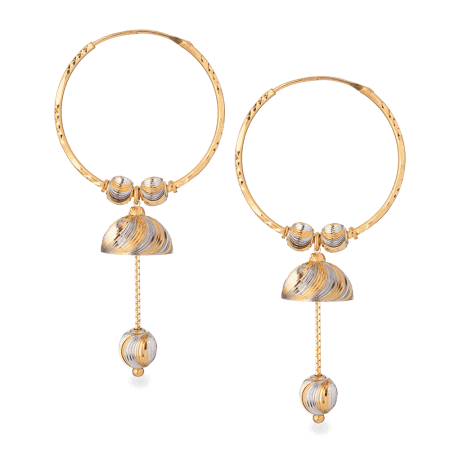 Our gold hoops have an Indian flavour. 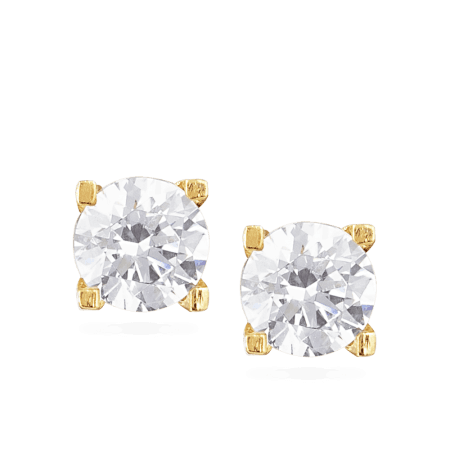 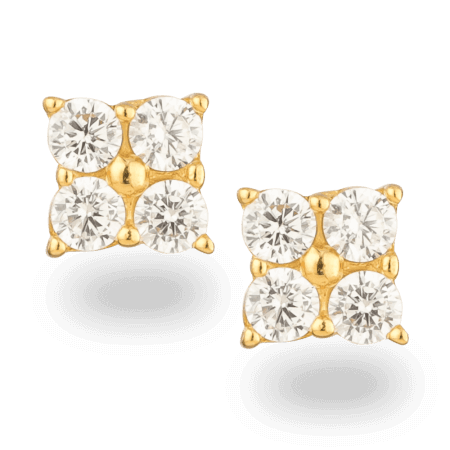 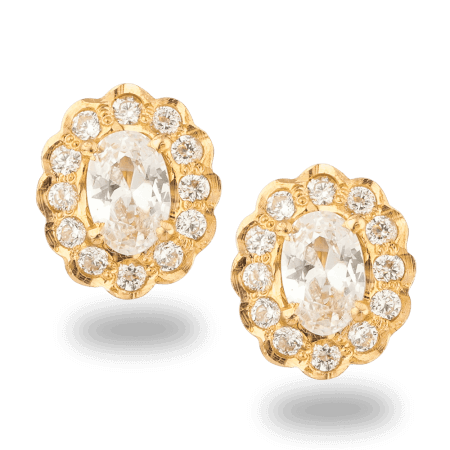 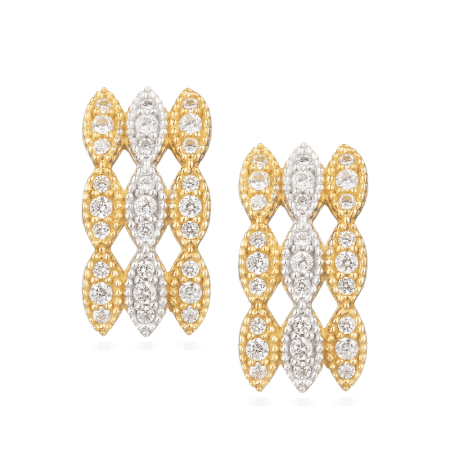 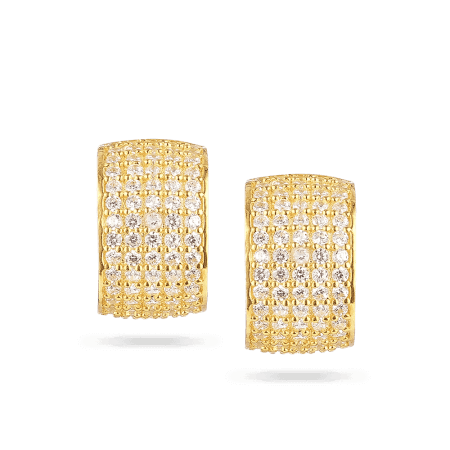 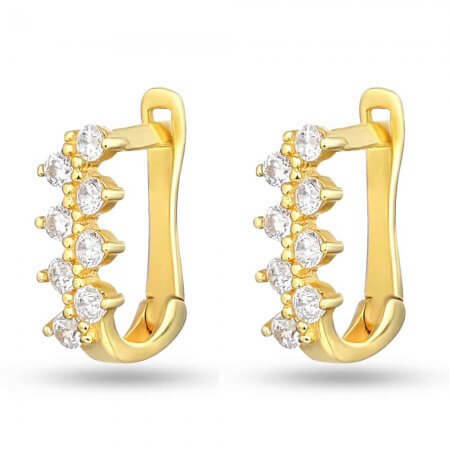 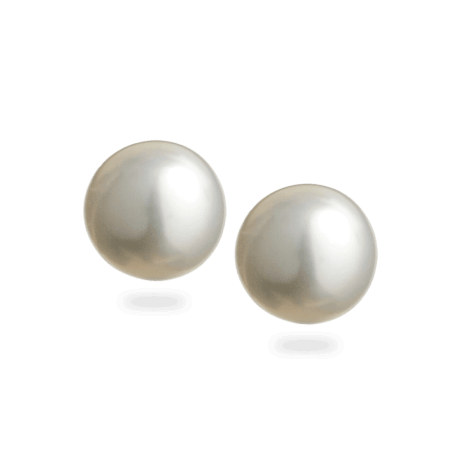 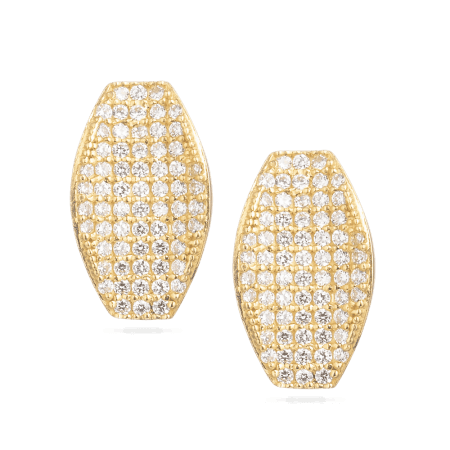 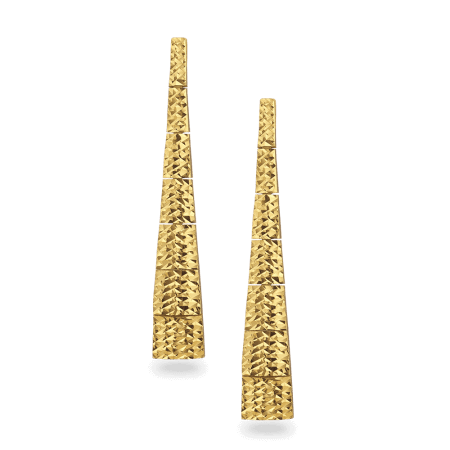 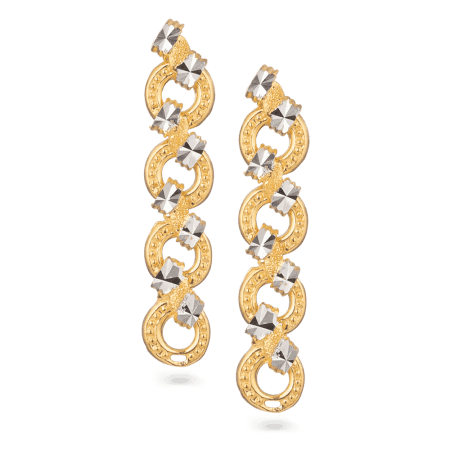 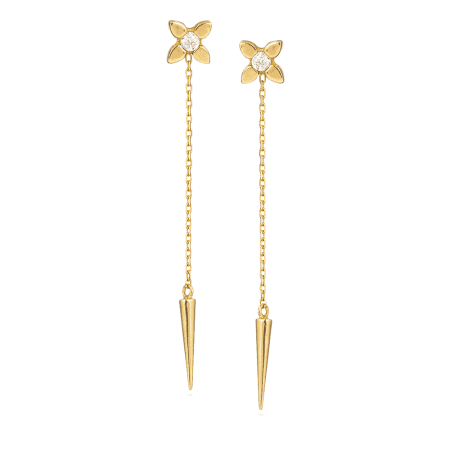 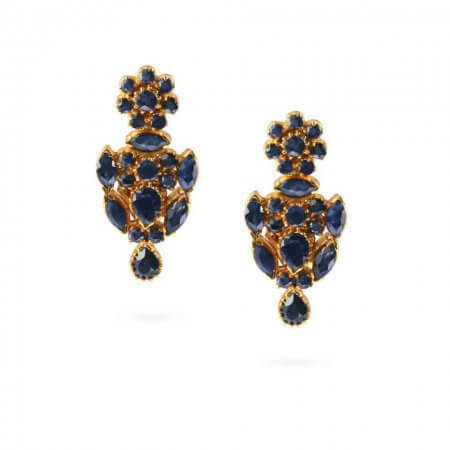 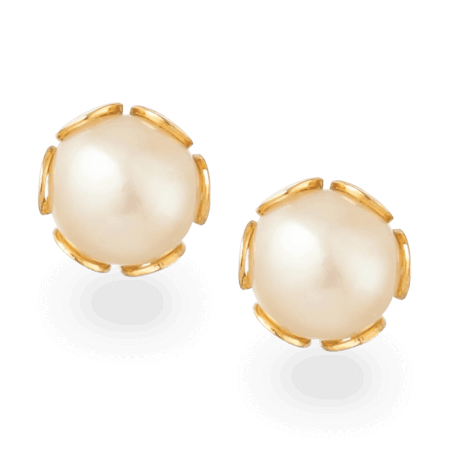 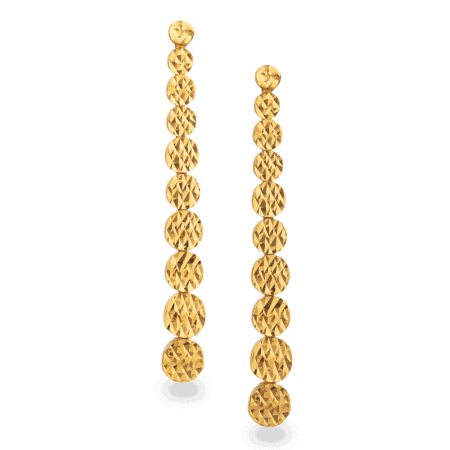 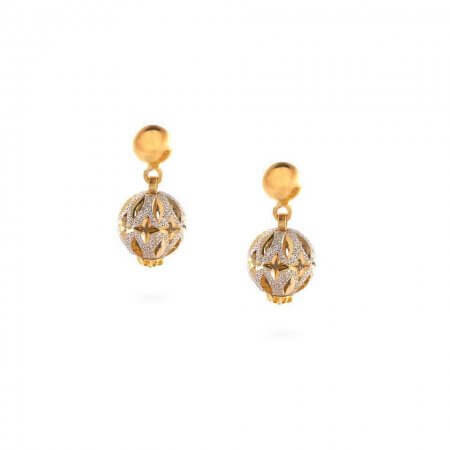 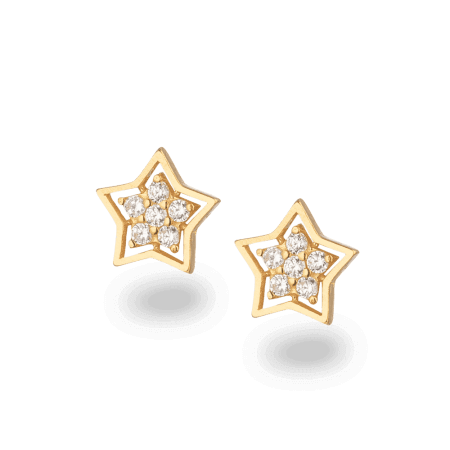 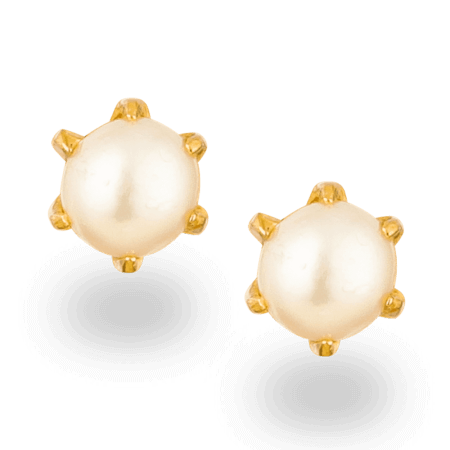 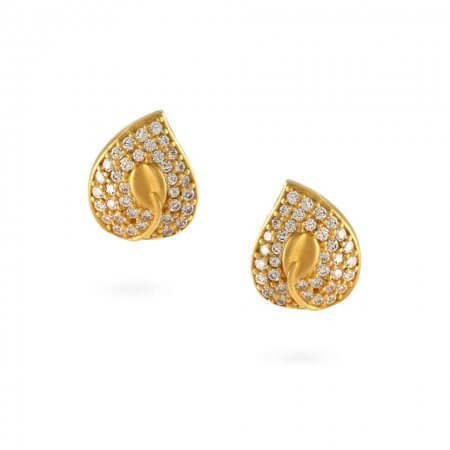 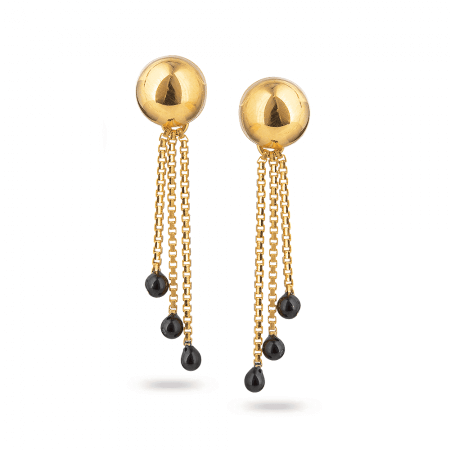 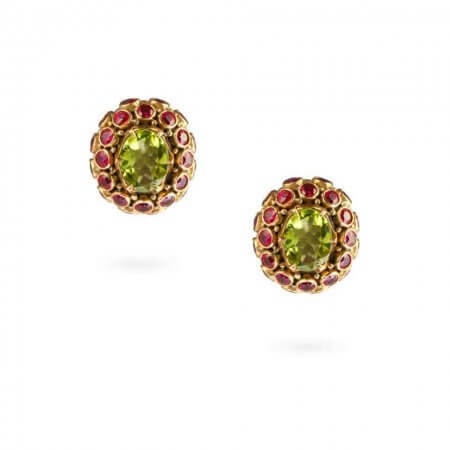 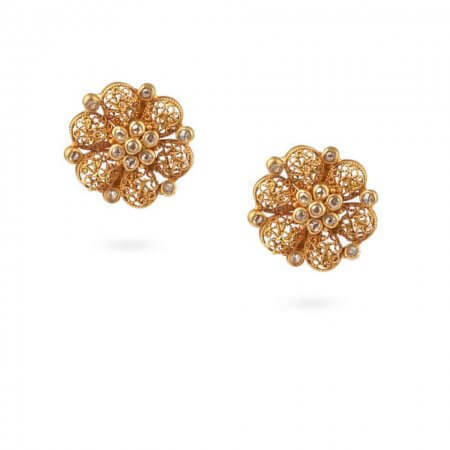 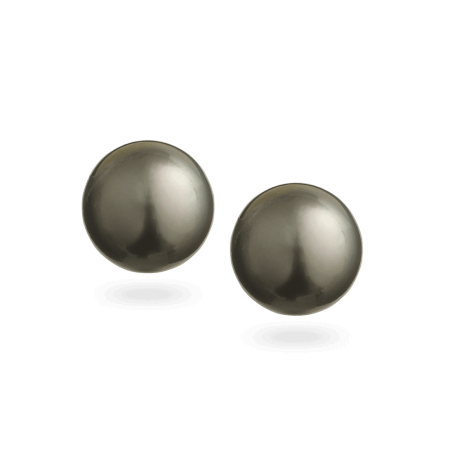 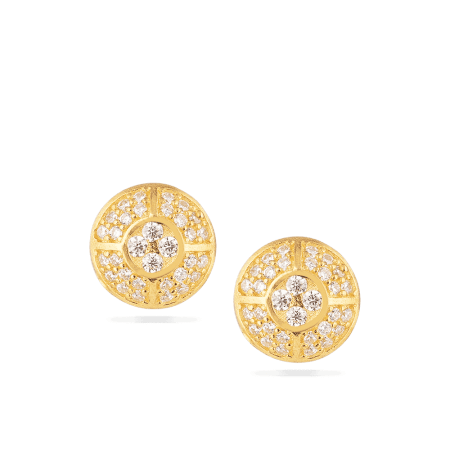 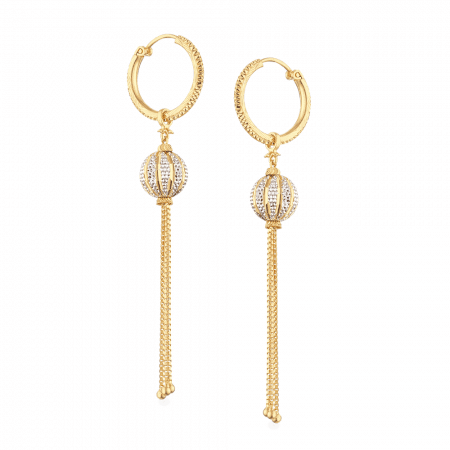 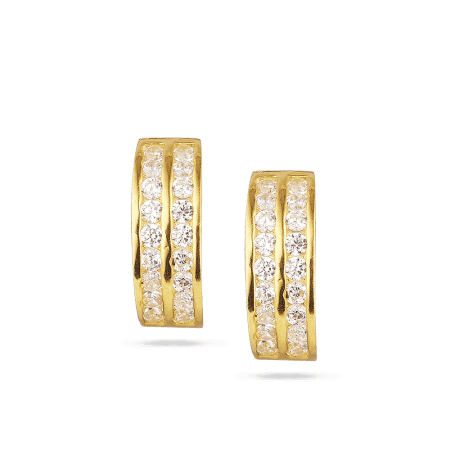 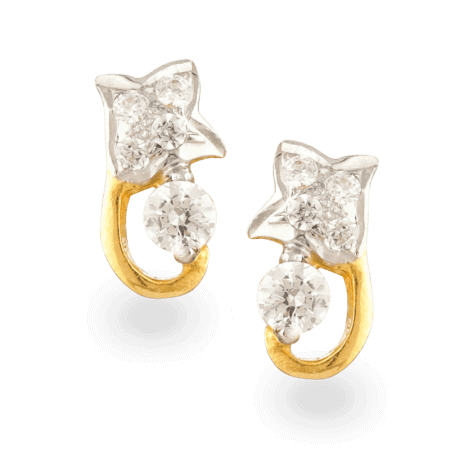 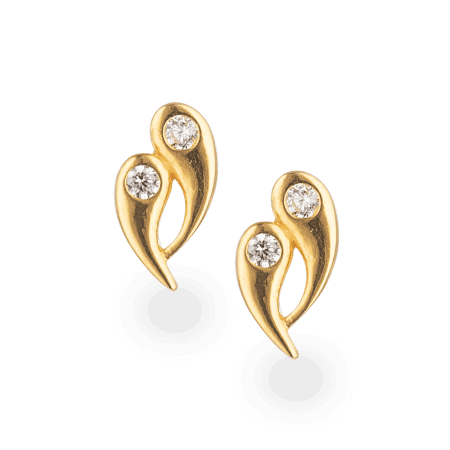 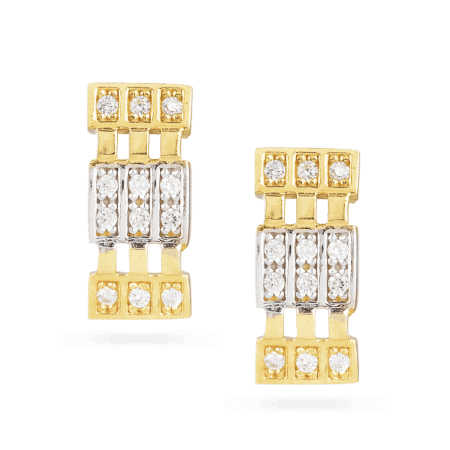 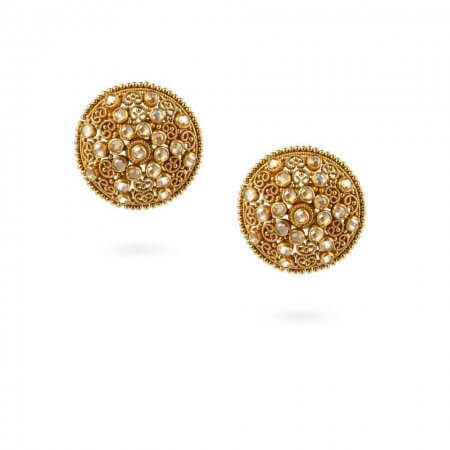 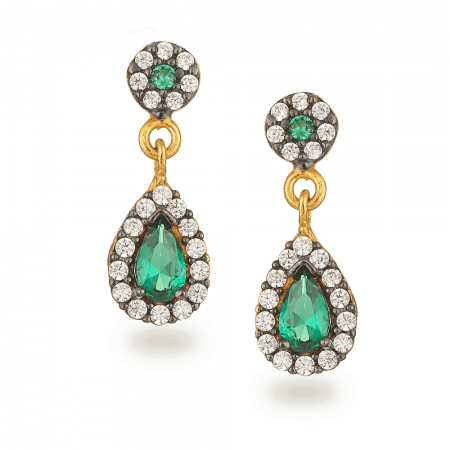 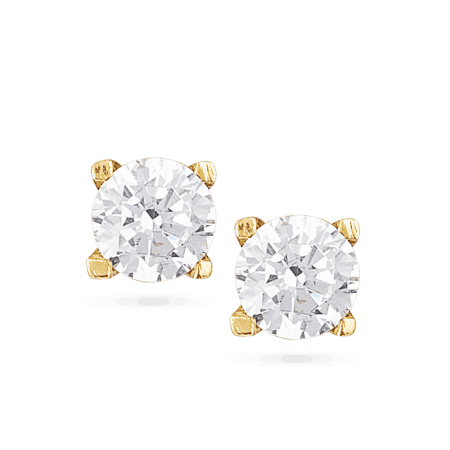 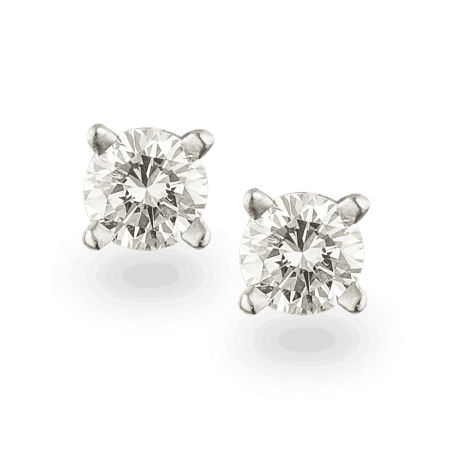 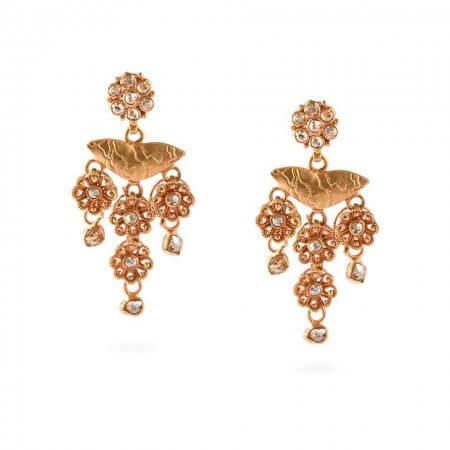 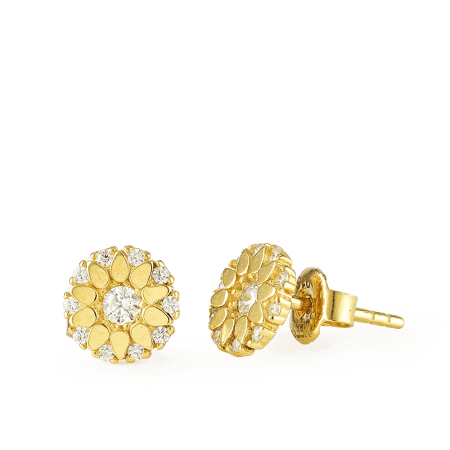 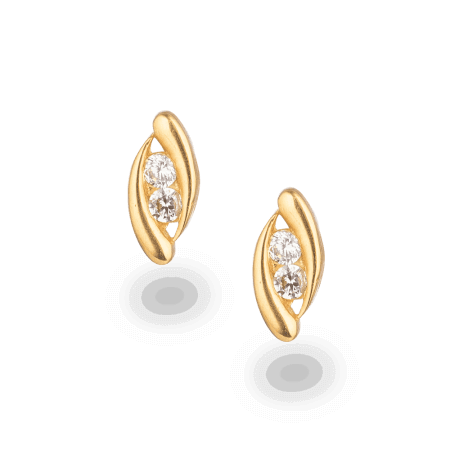 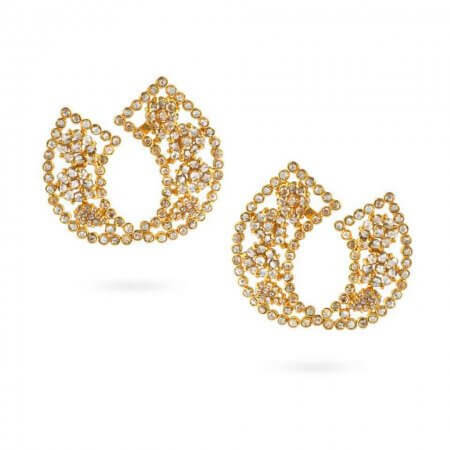 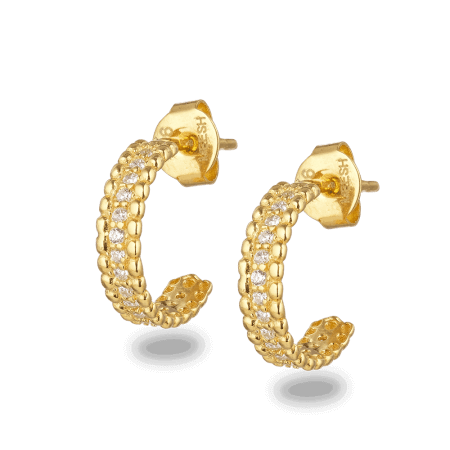 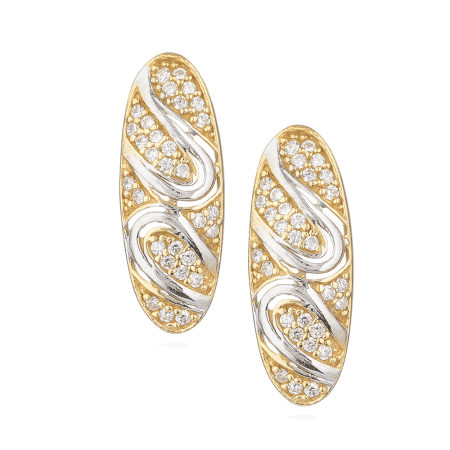 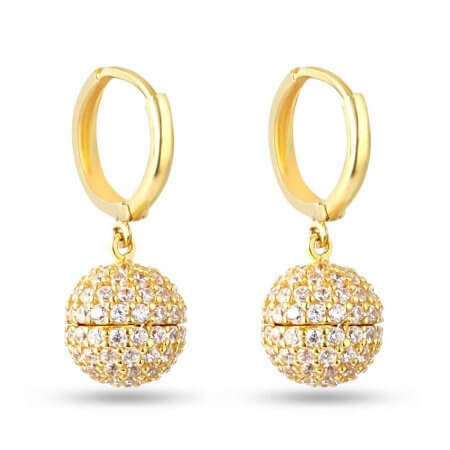 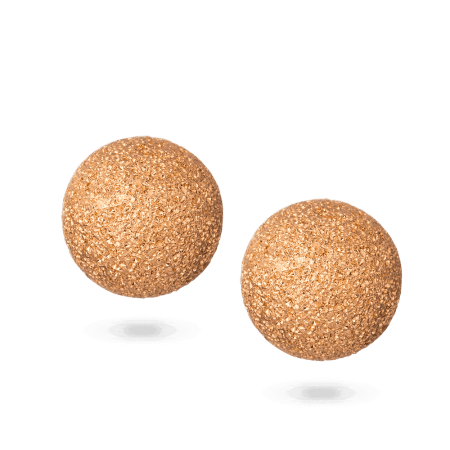 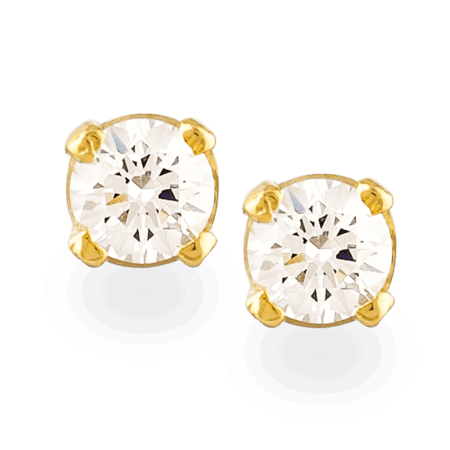 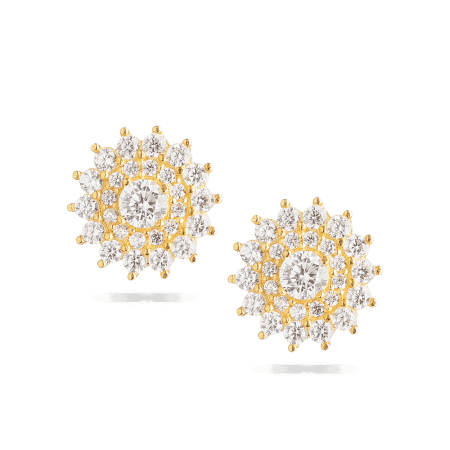 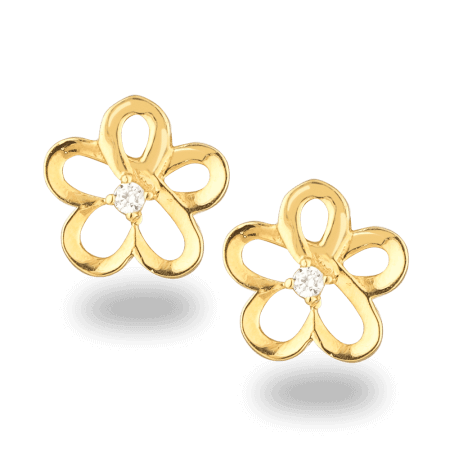 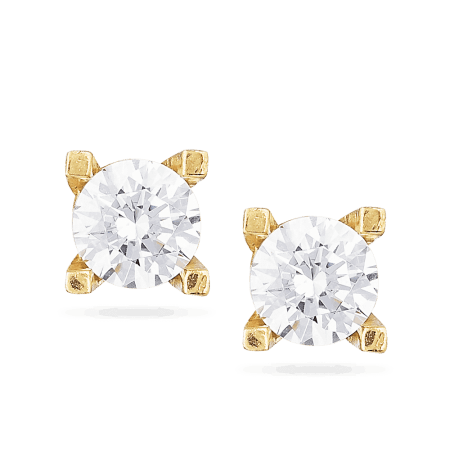 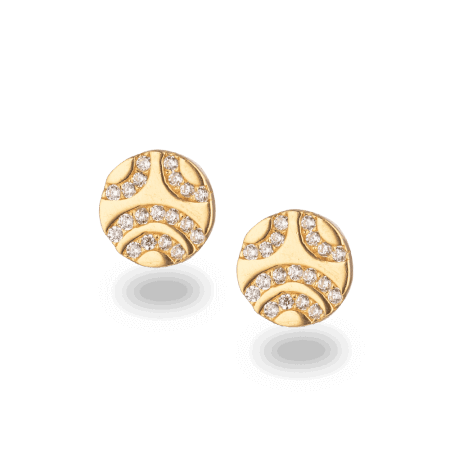 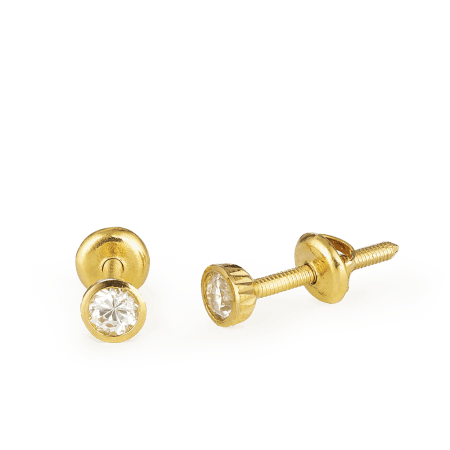 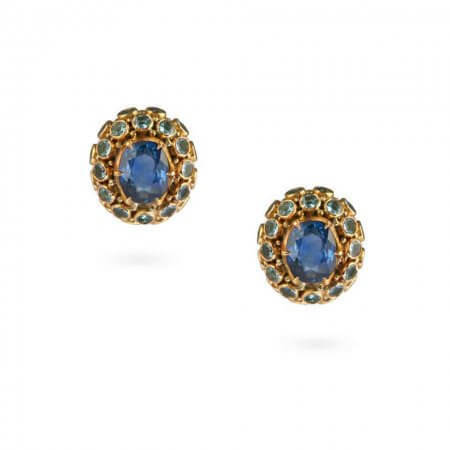 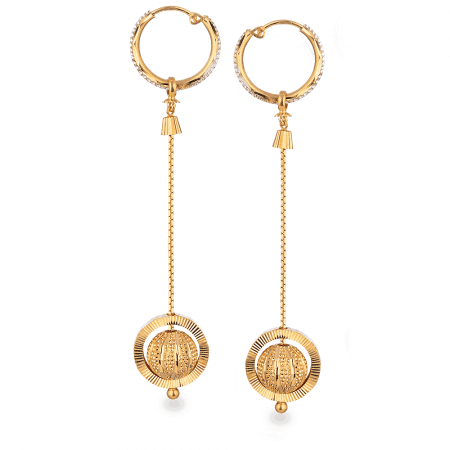 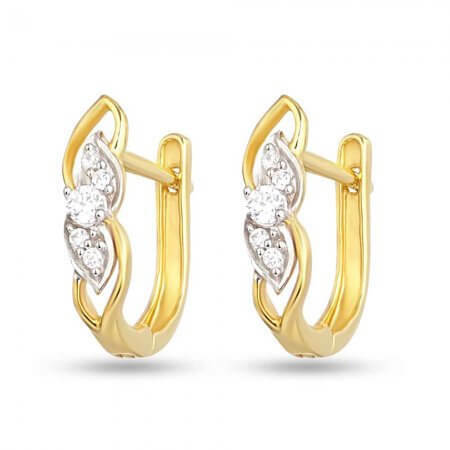 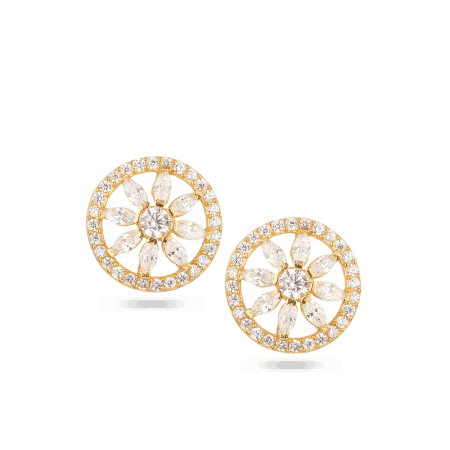 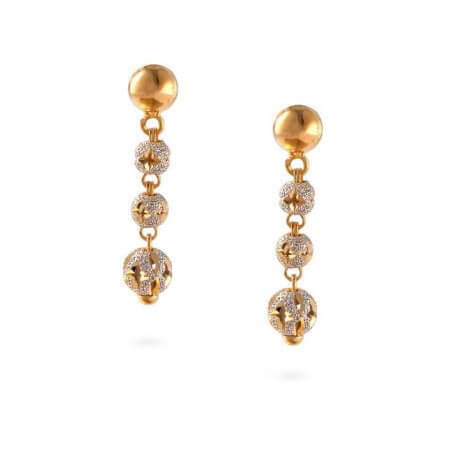 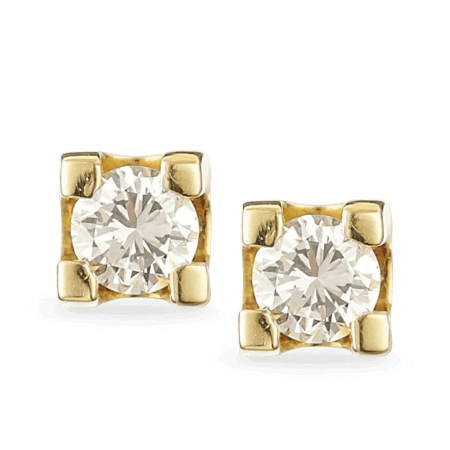 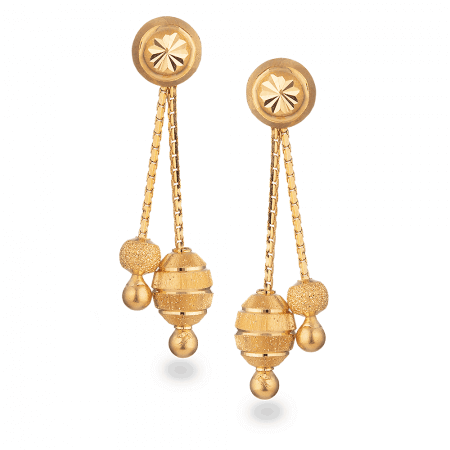 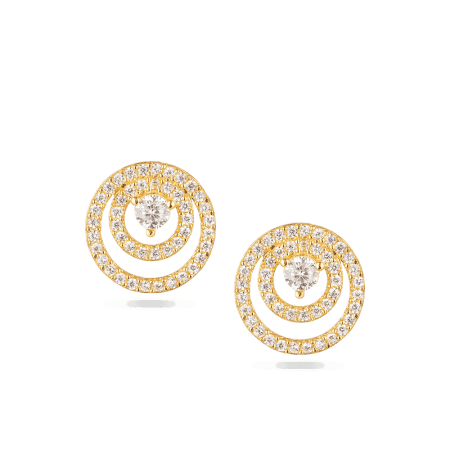 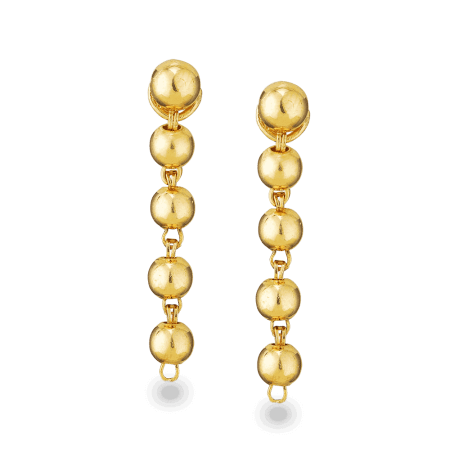 They’re lavish, stylish, and gorgeously crafted from 22ct gold. 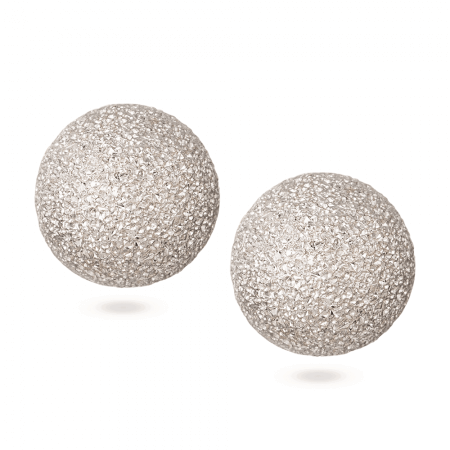 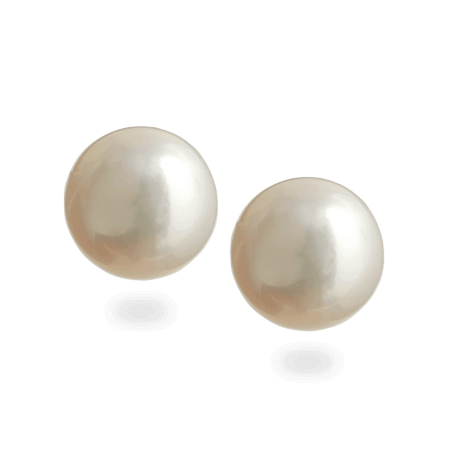 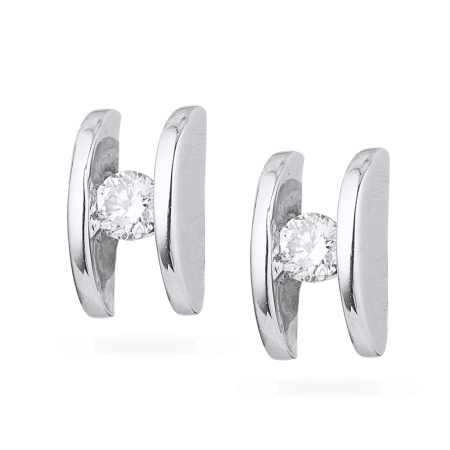 If you’re looking for an elegant, simple pair, then use Live Chat to find out what else is in the showroom.